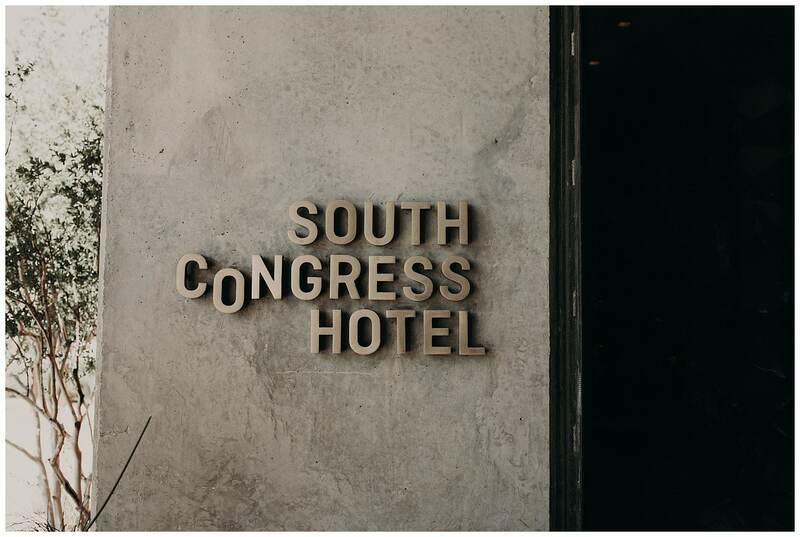 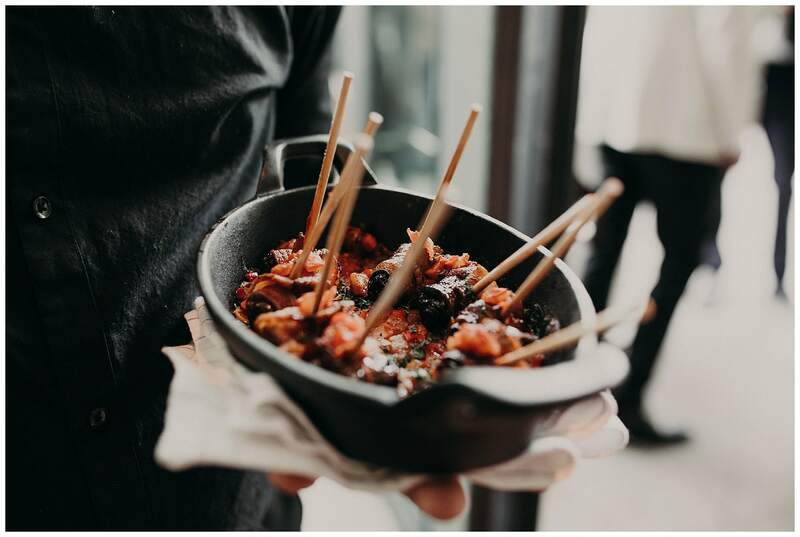 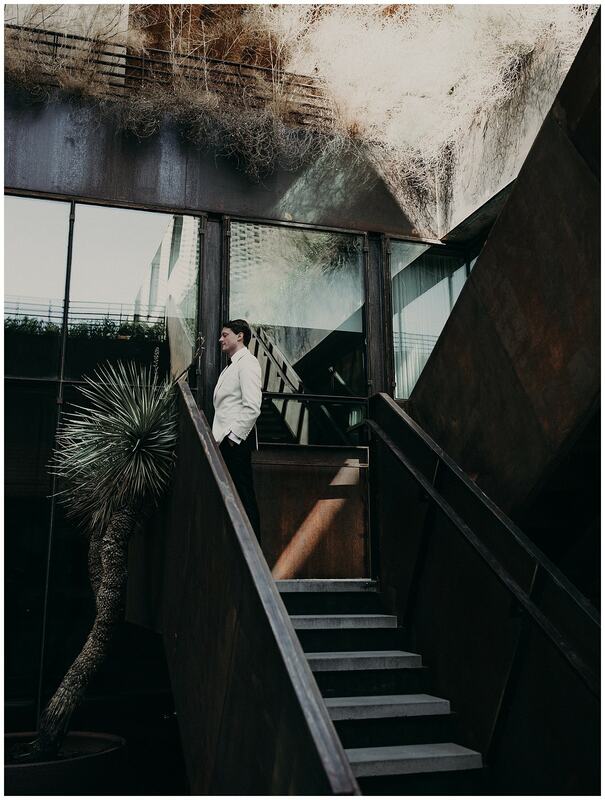 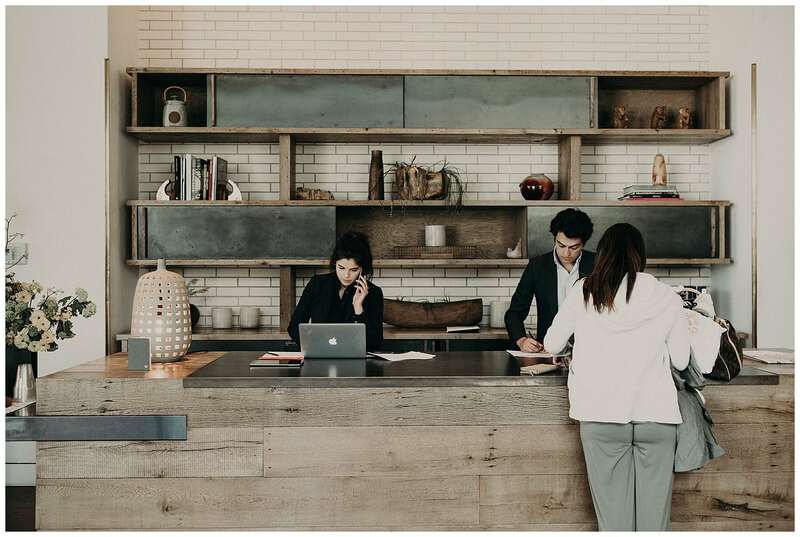 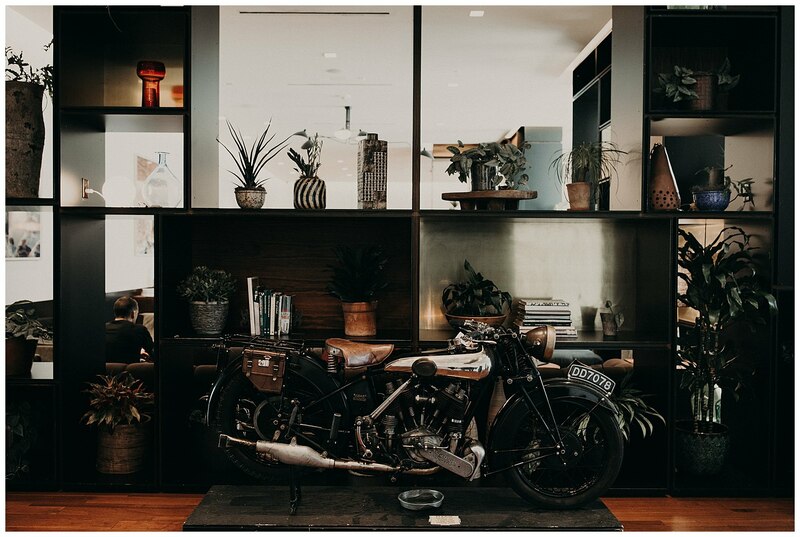 With its modern flair and inviting atmosphere I don’t think there’s anywhere in Austin, Texas quite like the South Congress Hotel; or anywhere in the world for that matter. 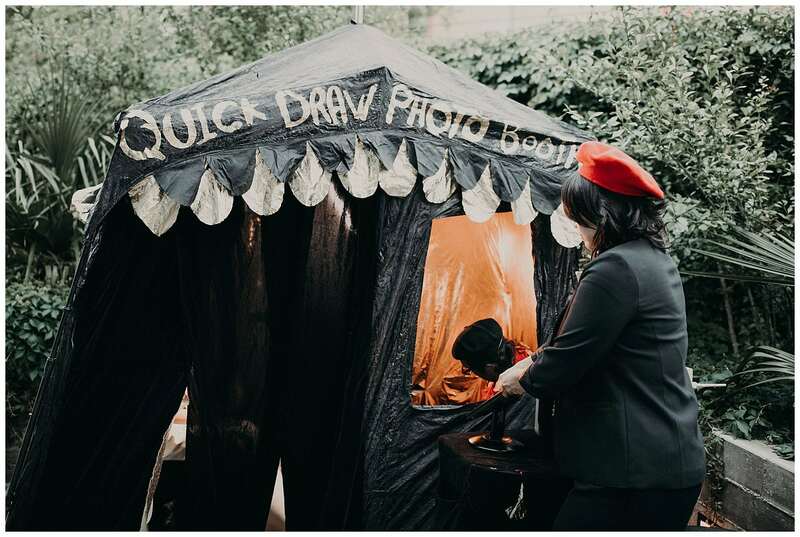 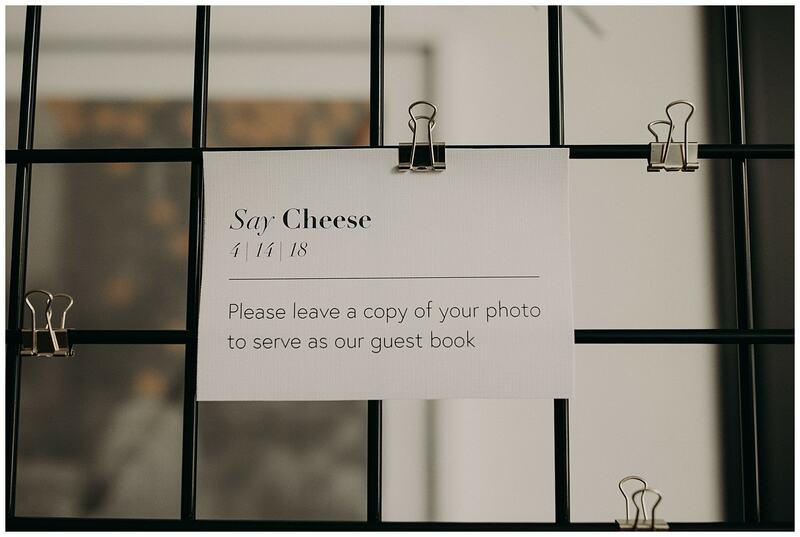 It’s been one of the most unique wedding venues I’ve had the pleasure of photographing in. 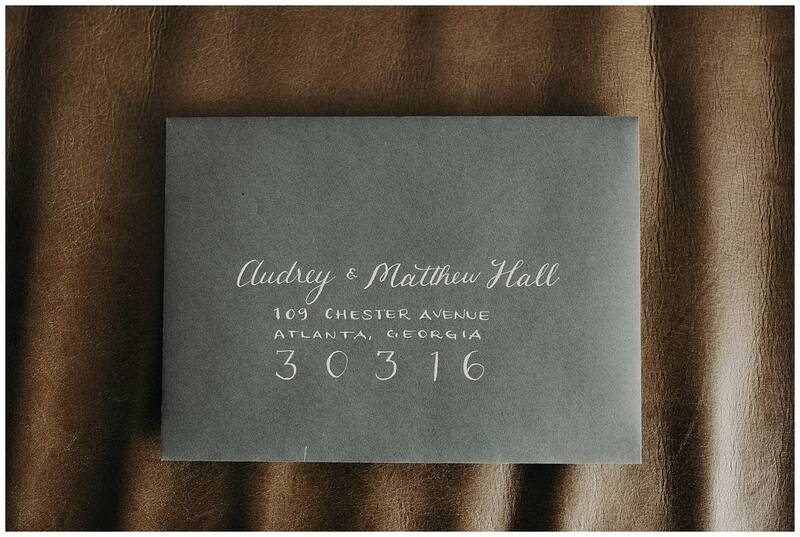 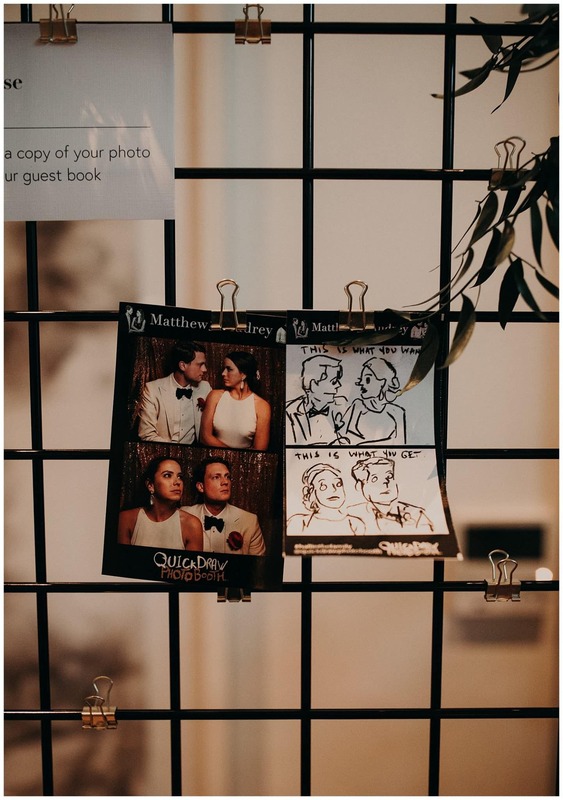 Likewise, there aren’t any two people quite like Audrey and Matthew; that can so easily encapture you with their charm, warmth and energy. 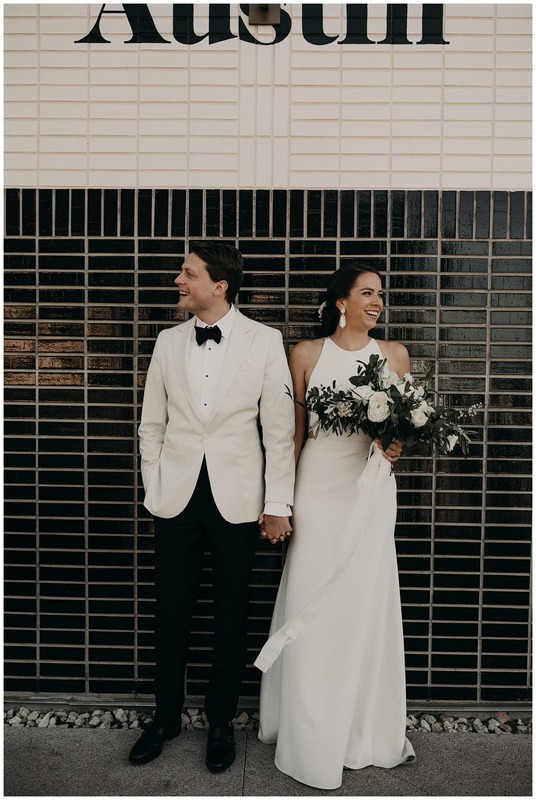 This gorgeous couple is the perfect combination of sophistication, carefree and hoopla (that’s right, I managed to use the word hoopla)! 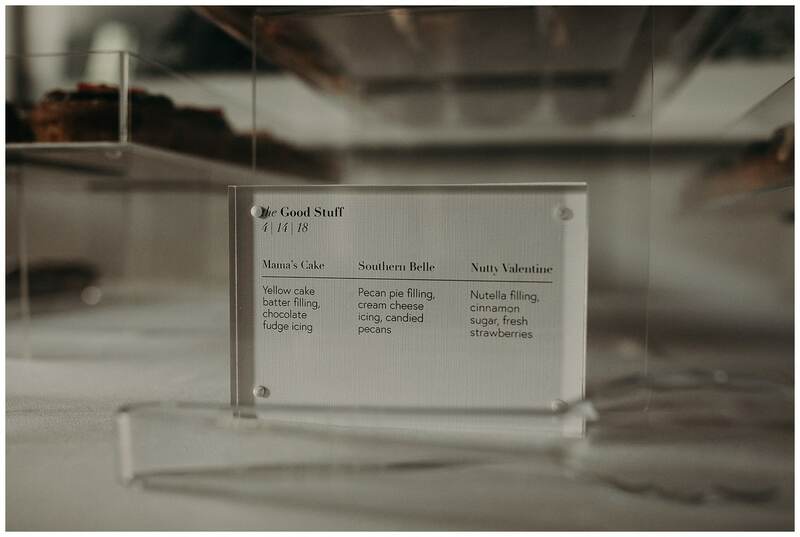 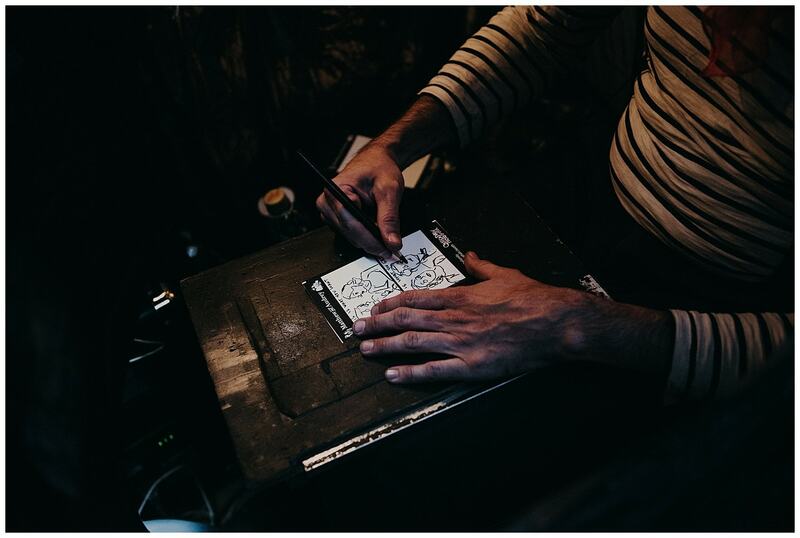 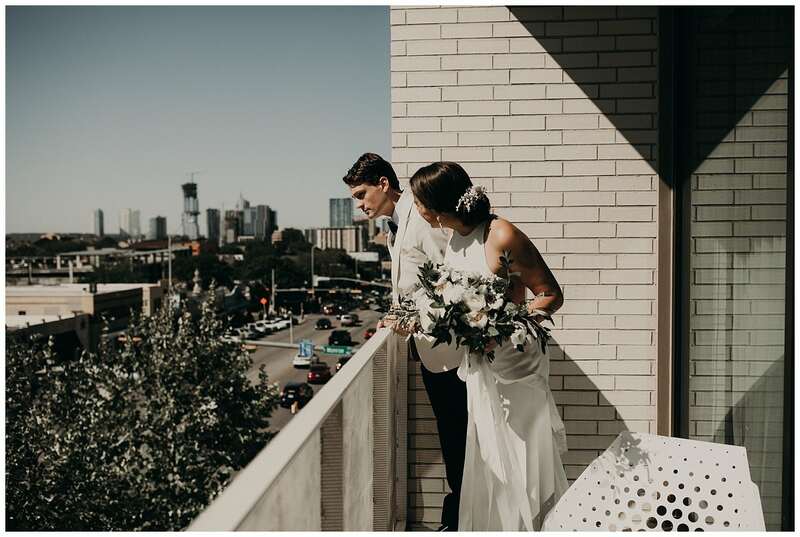 Just wait till you see the photos and you’ll understand. 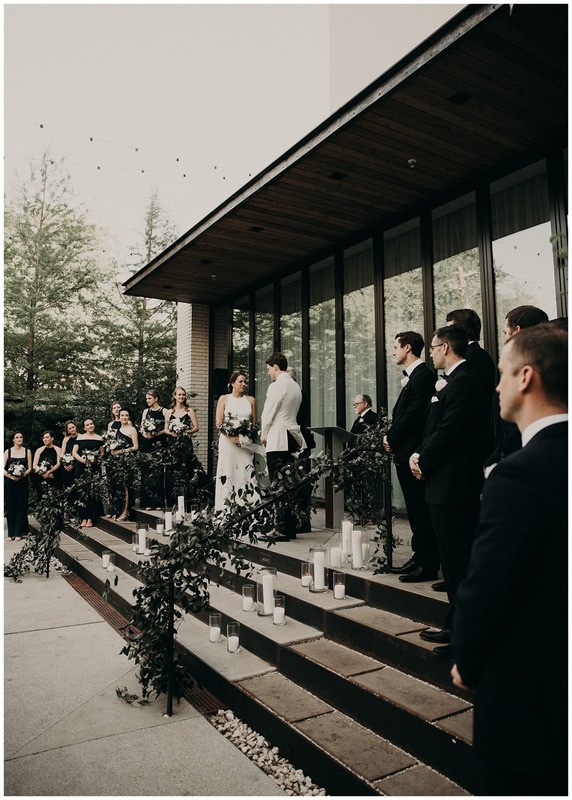 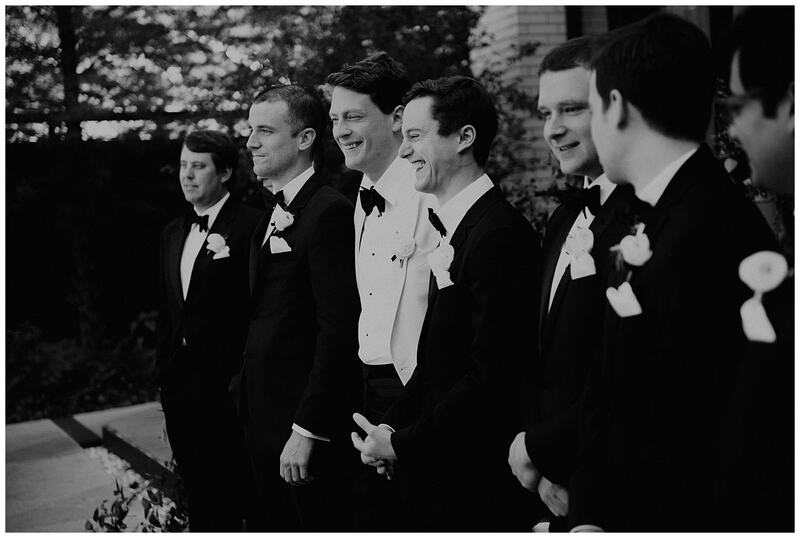 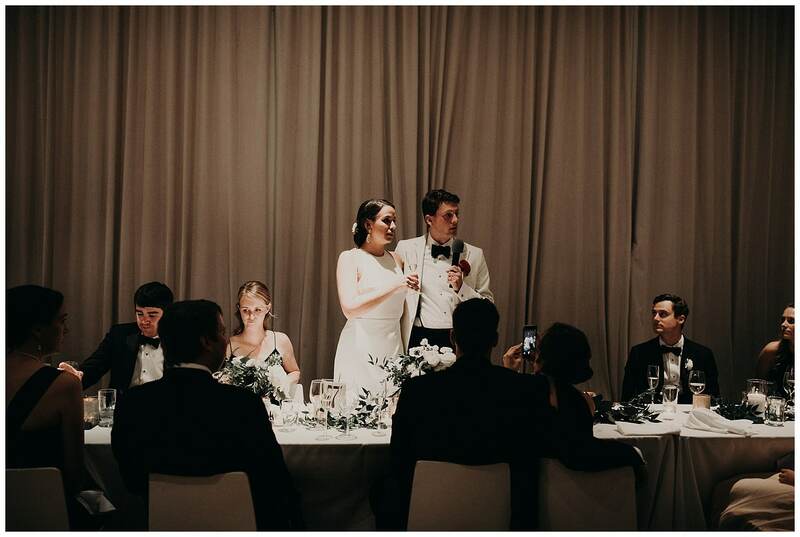 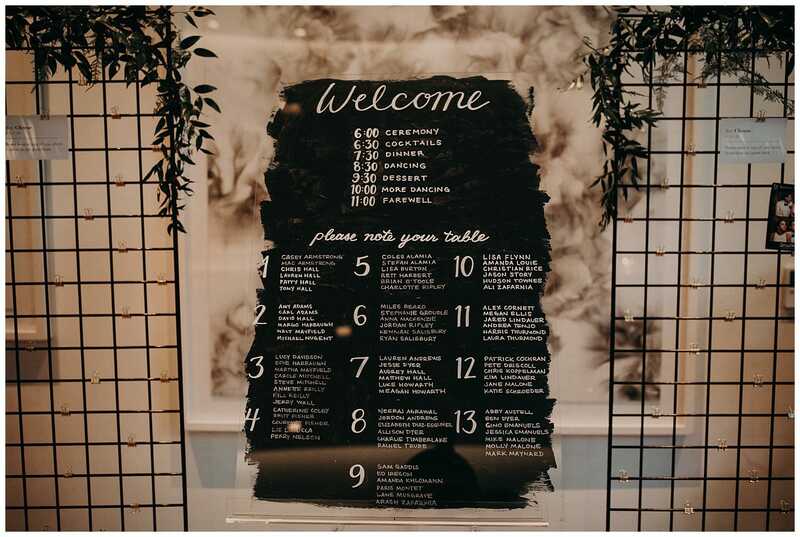 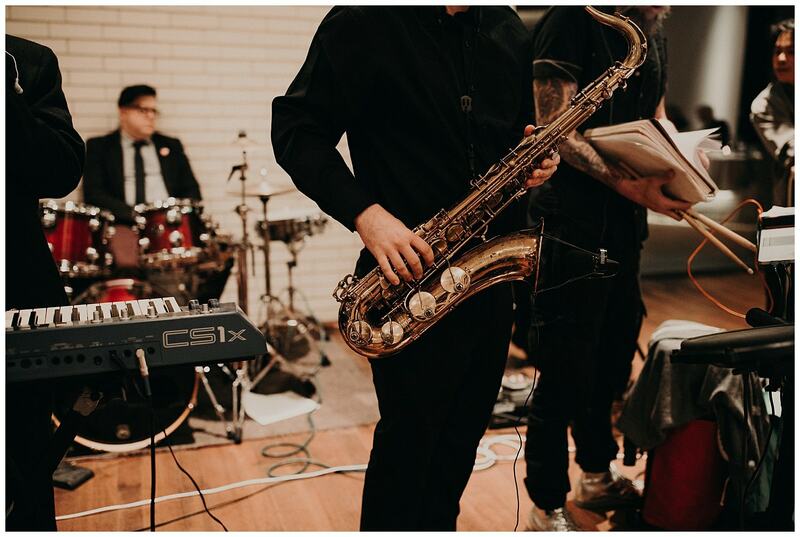 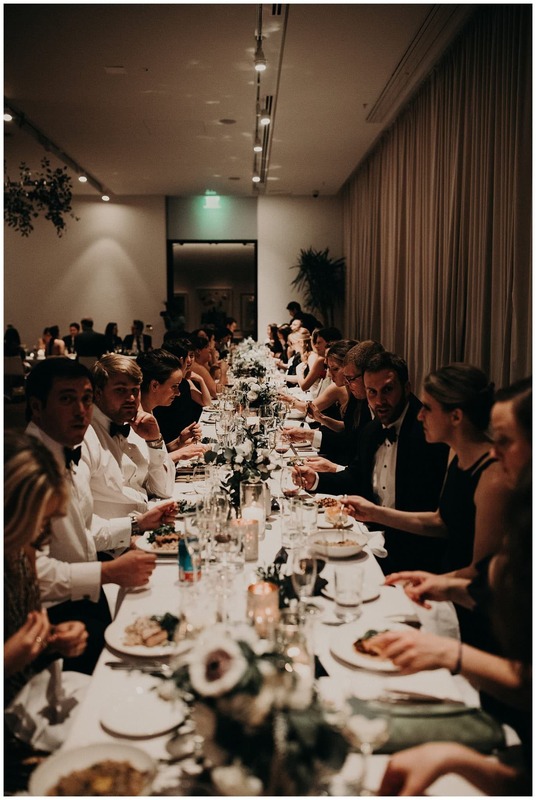 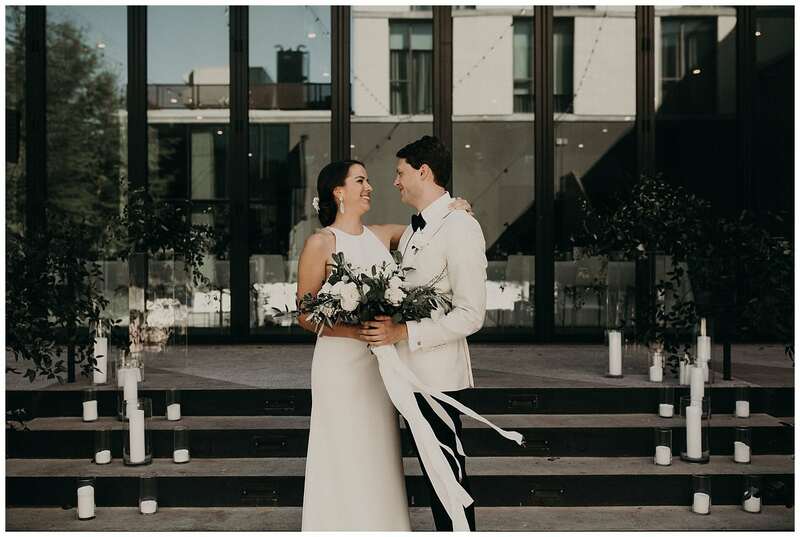 They fit their venue perfectly and their venue accentuated their mix of class and charisma to a T. The decor and florals were woven throughout the hotel seamlessly, while the dapper attire couldn’t have been more ideal; and right in the center of it all was the stunning bride and groom. 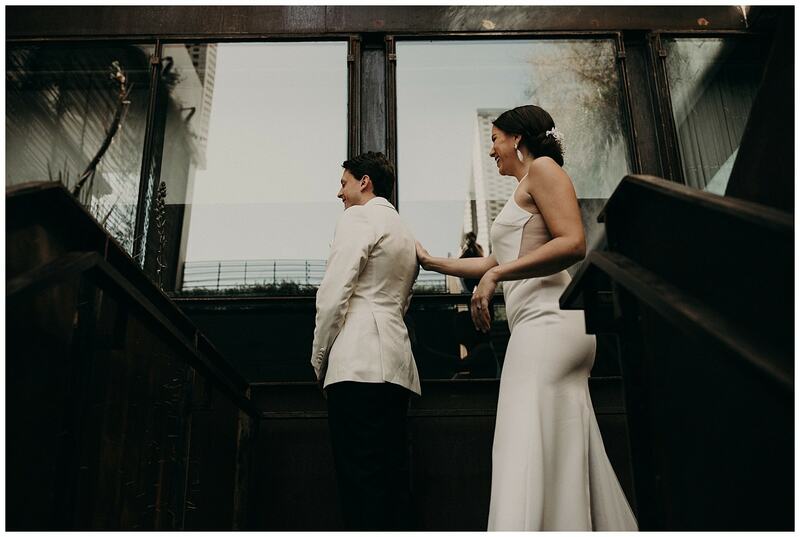 Shooting these two on their wedding day was like capturing two A-List movie stars in their element. 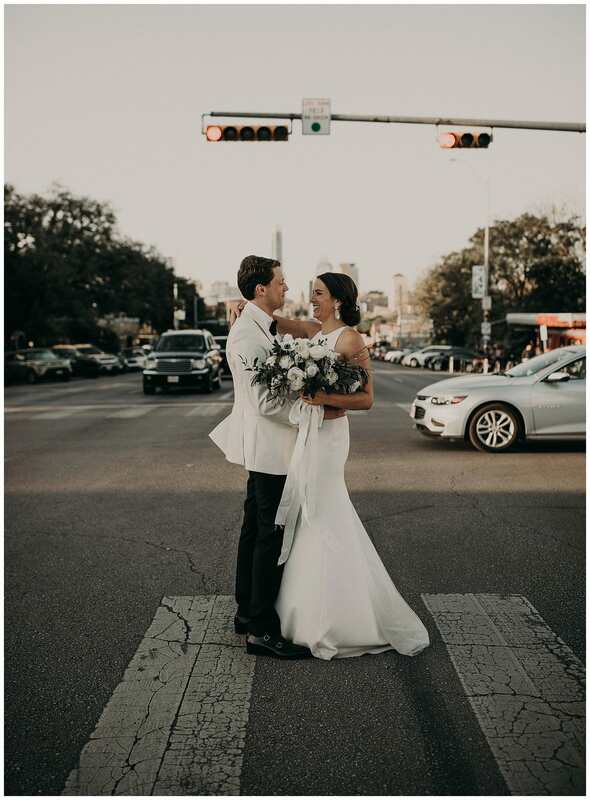 They were stopping traffic… literally! 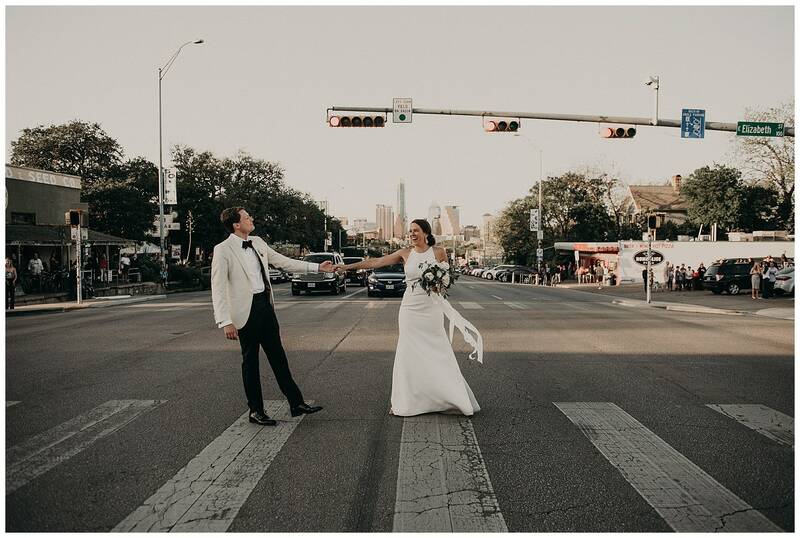 After the ceremony they decided to hit the streets to get some fun shots around town and these two didn’t hesitate to pose center stage (or should I say center crosswalk) to get some of the best shots I’ve seen in a long time; and the public loved them! 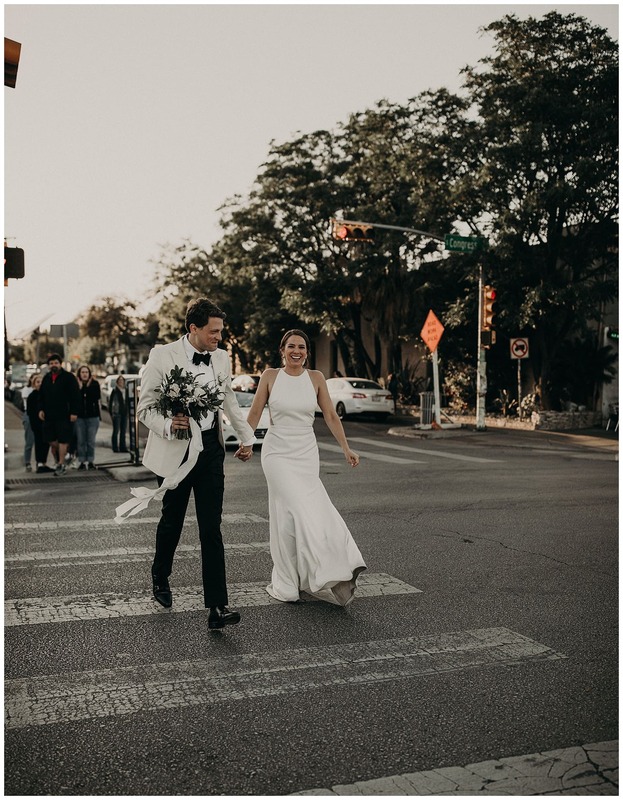 They had people hollering and shouting as they strutted through town. 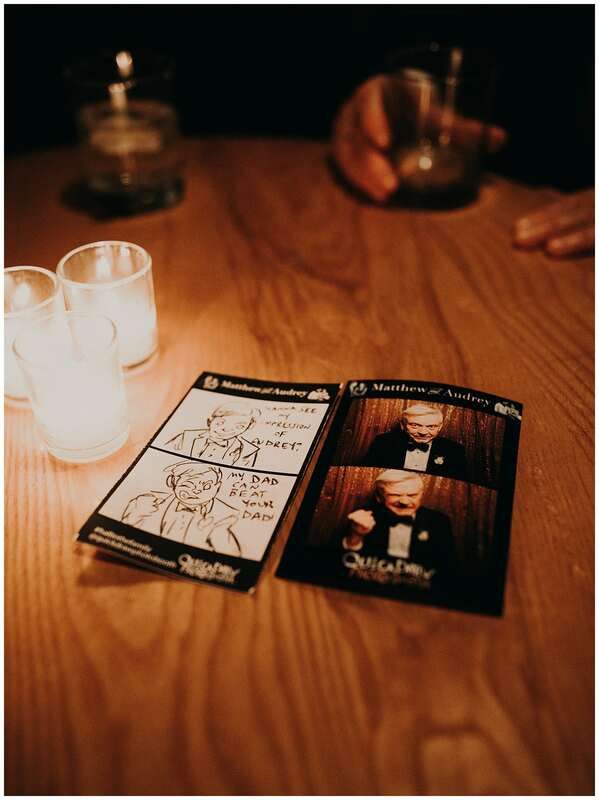 You think that would have been enough but the night only got better from there. 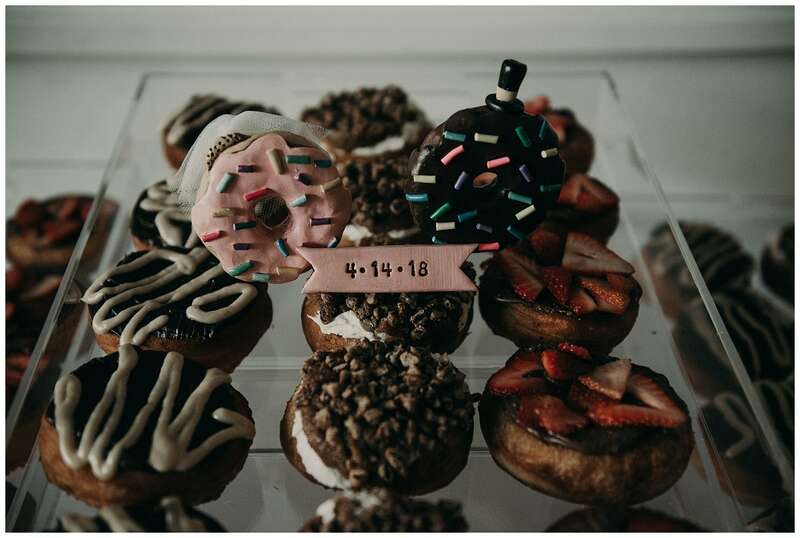 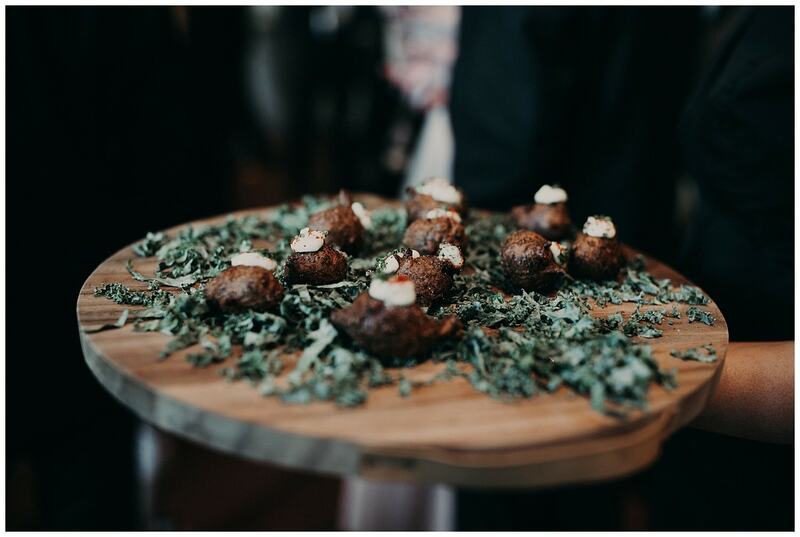 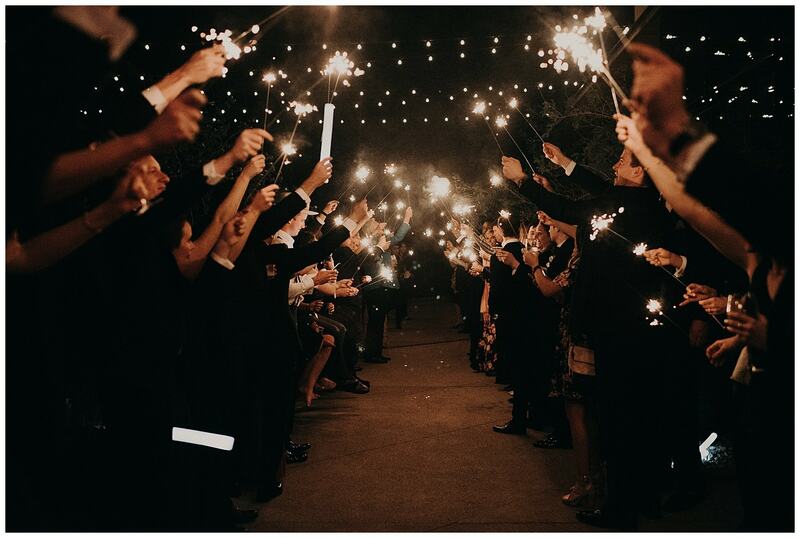 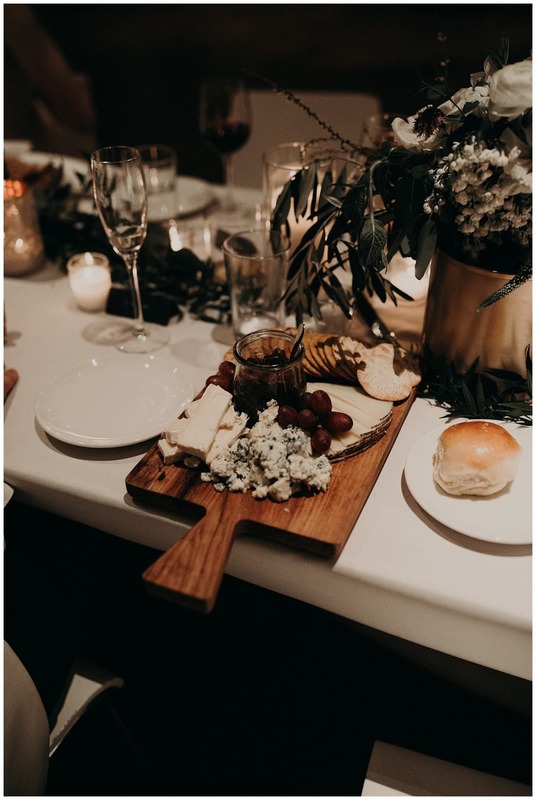 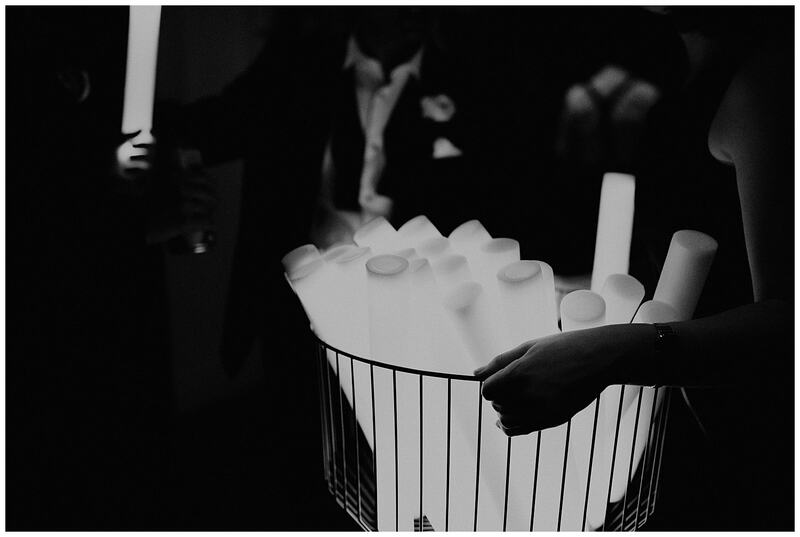 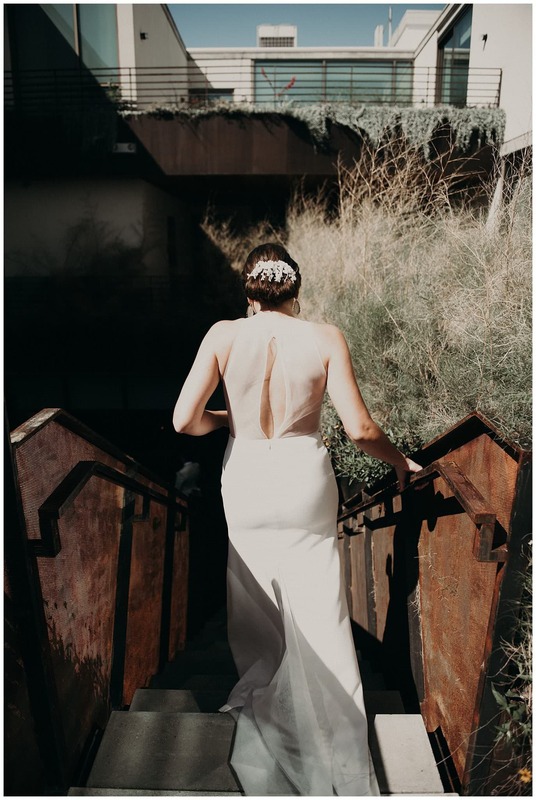 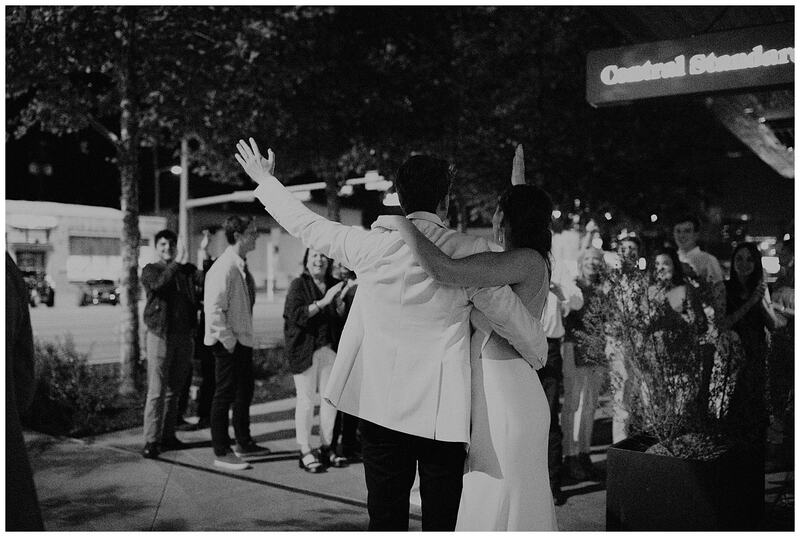 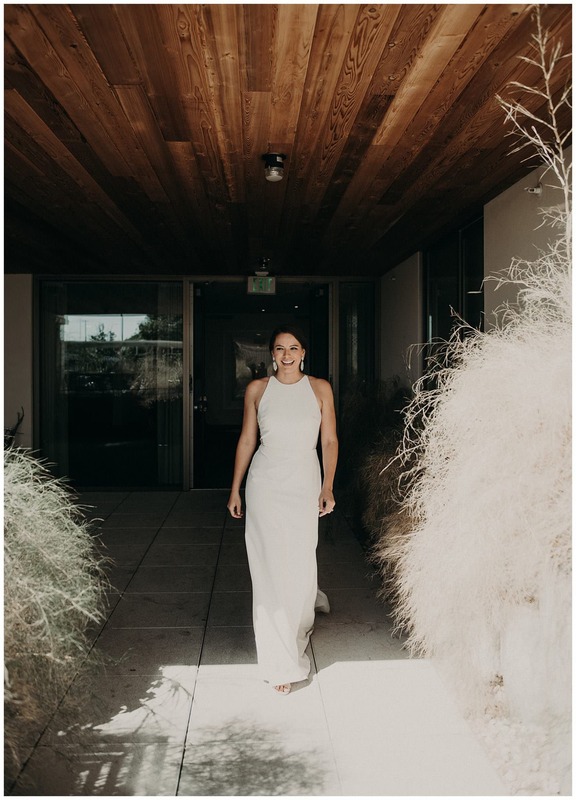 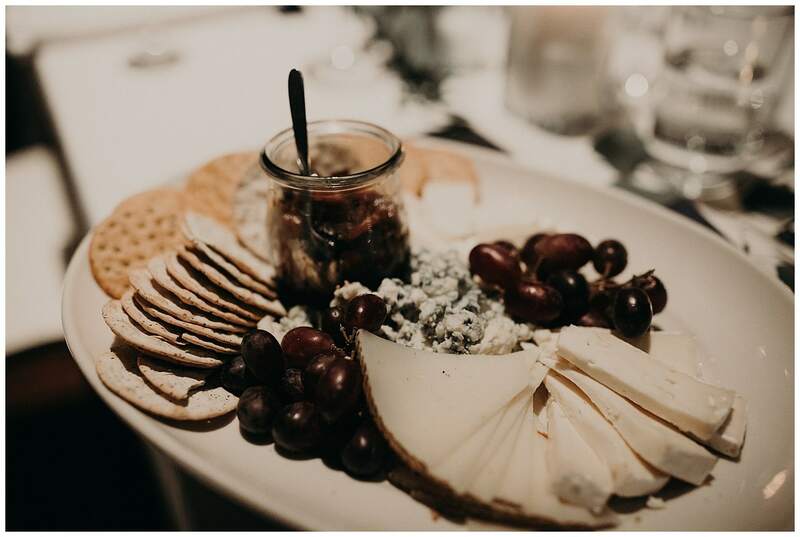 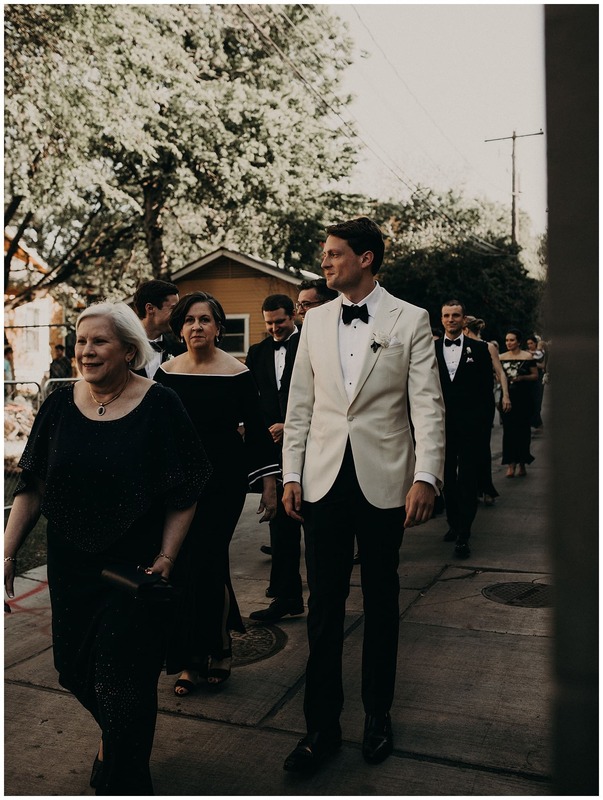 After the ceremony and the sunset photos around town, Audrey and Matthew headed back to the hotel for an unforgettable night filled with delicious food, amazing people and unbelievable fun! 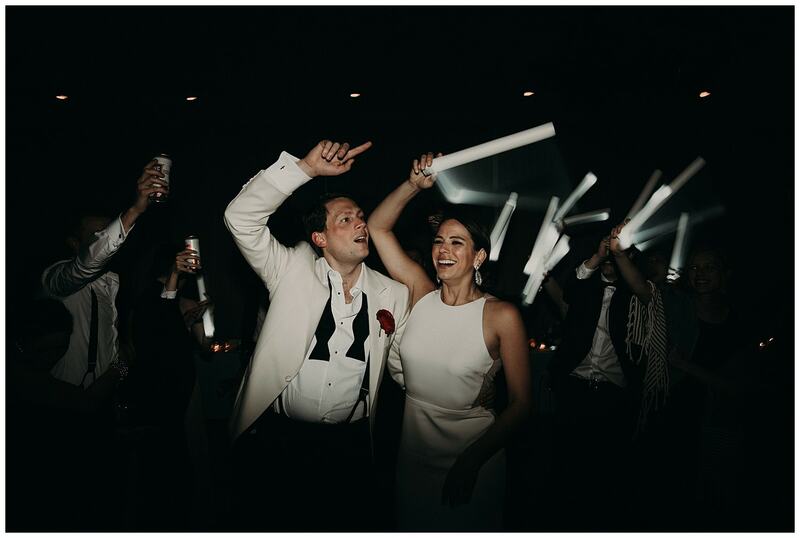 It was a brilliant reception and don’t worry about the swanky attire slowing anything down, these two know how to let loose and celebrate! 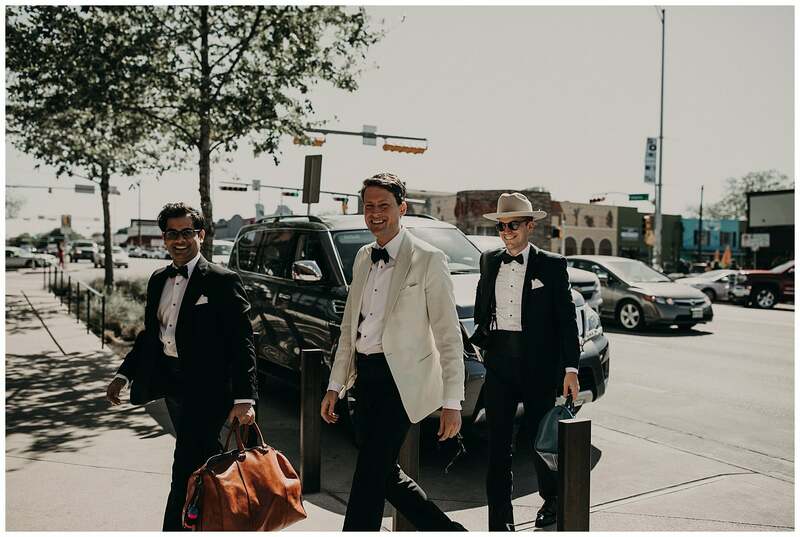 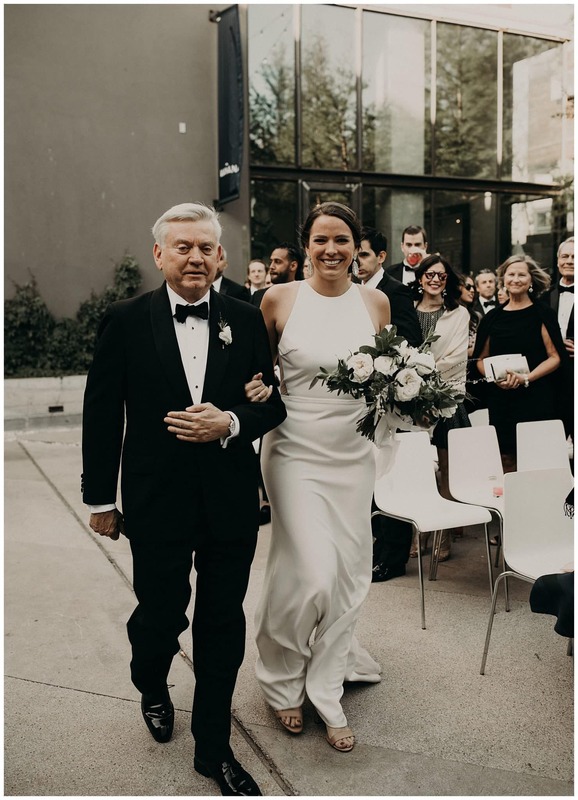 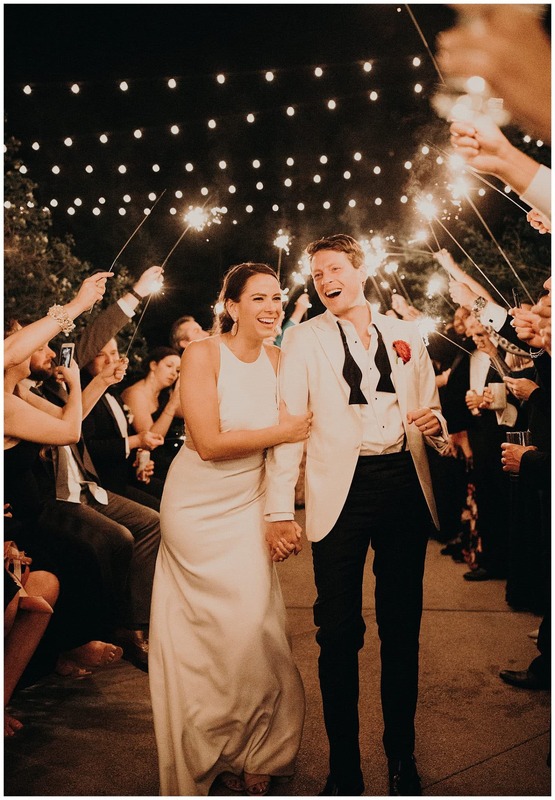 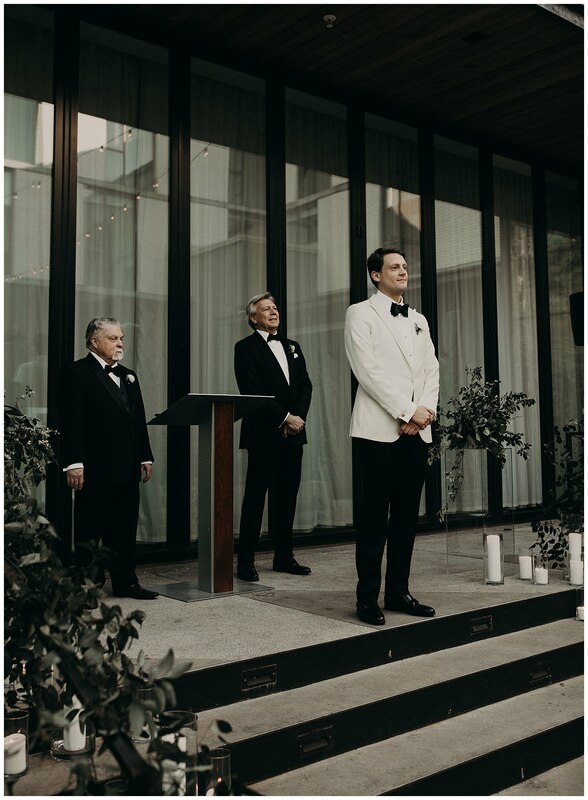 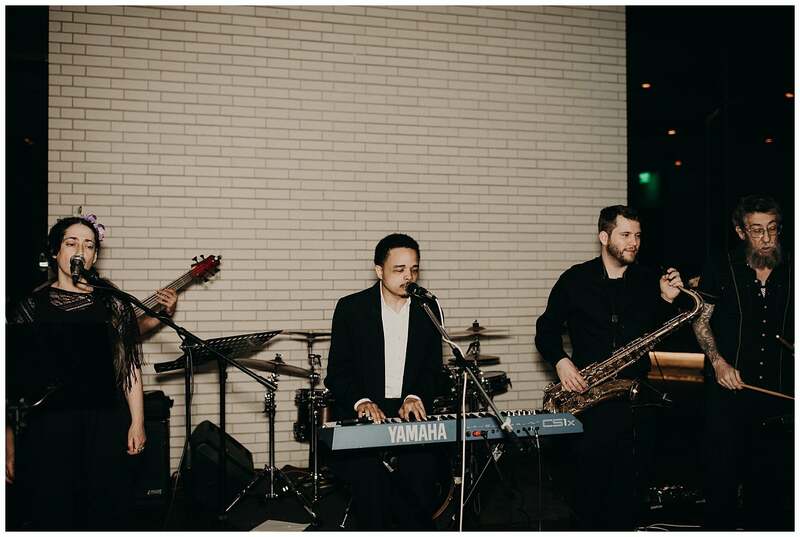 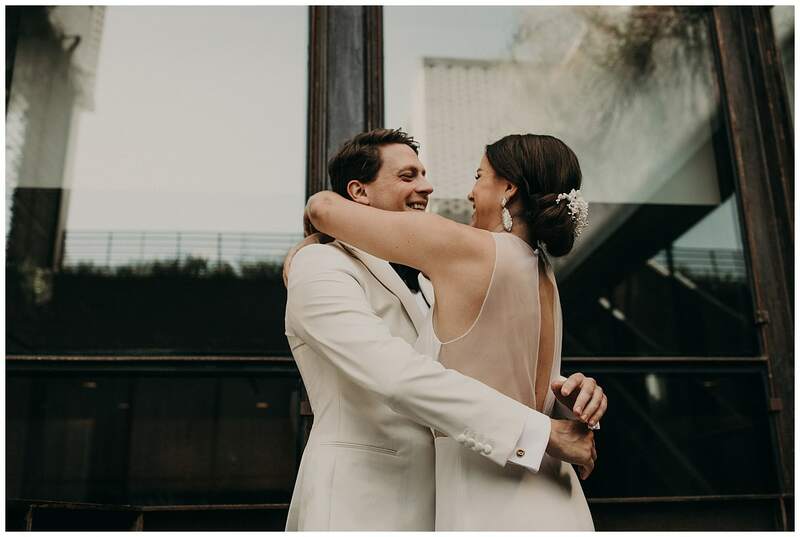 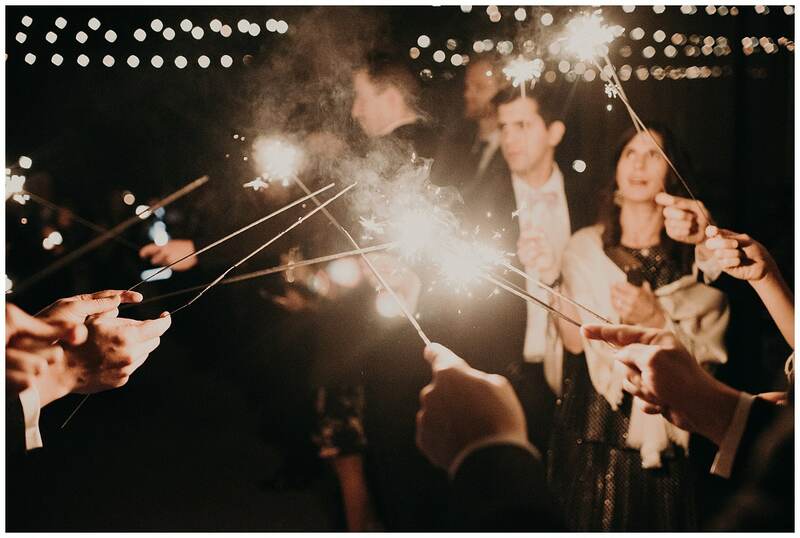 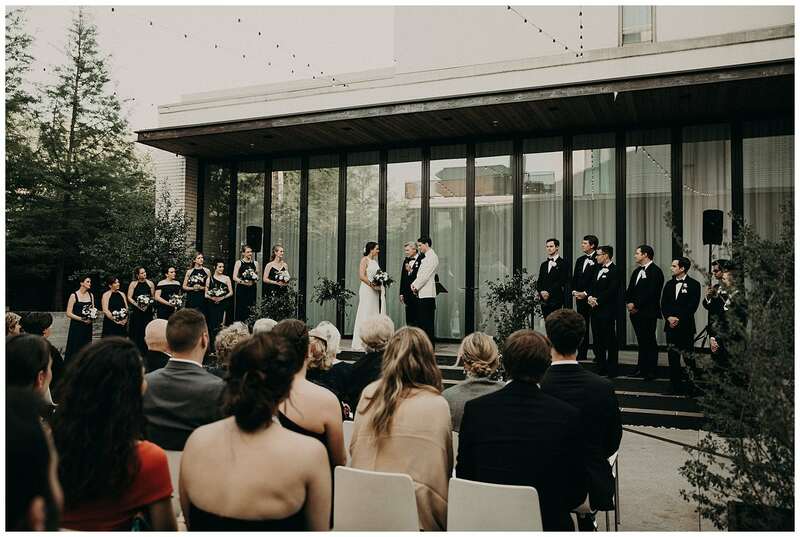 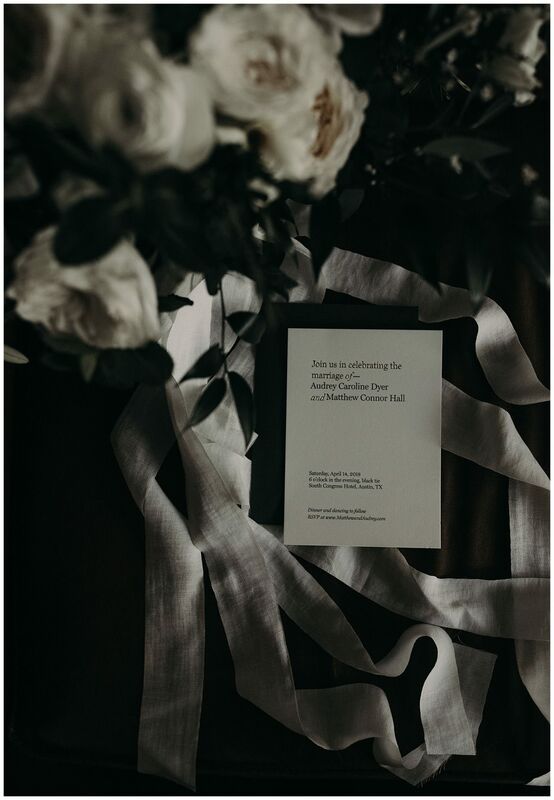 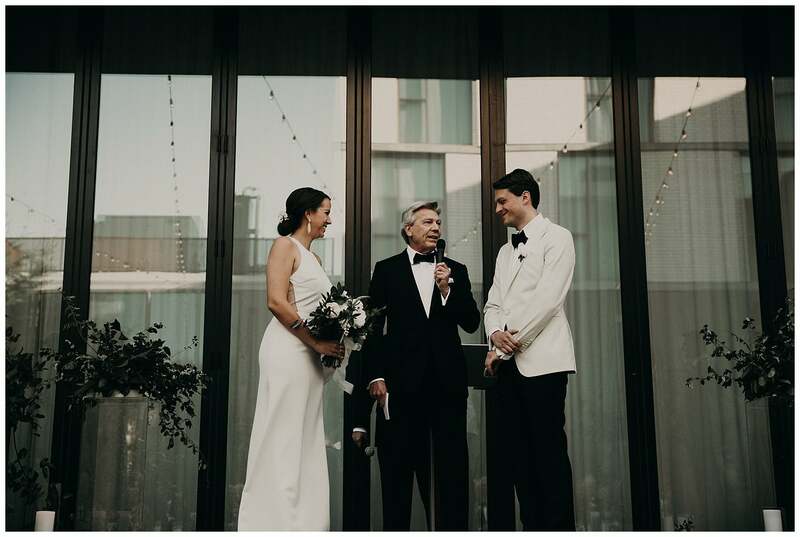 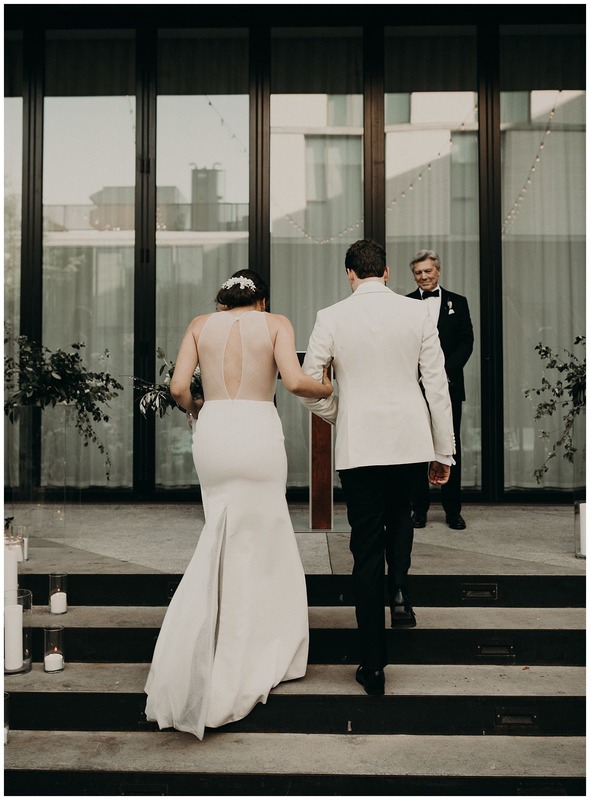 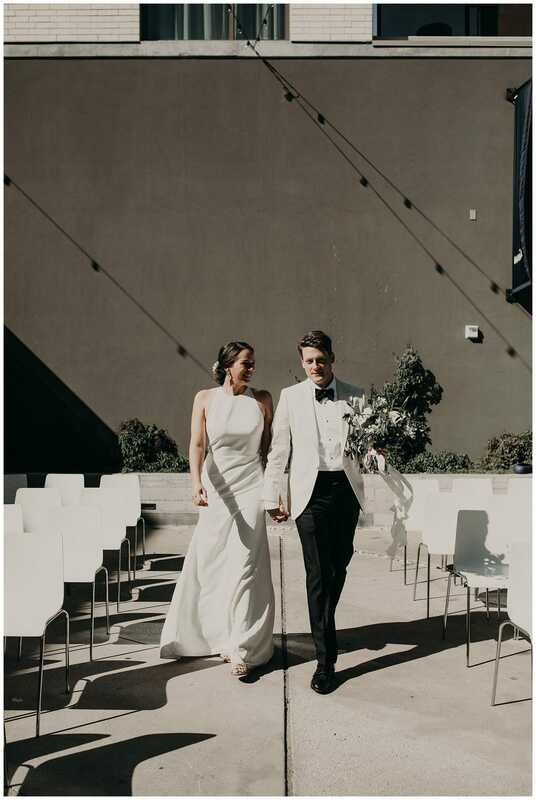 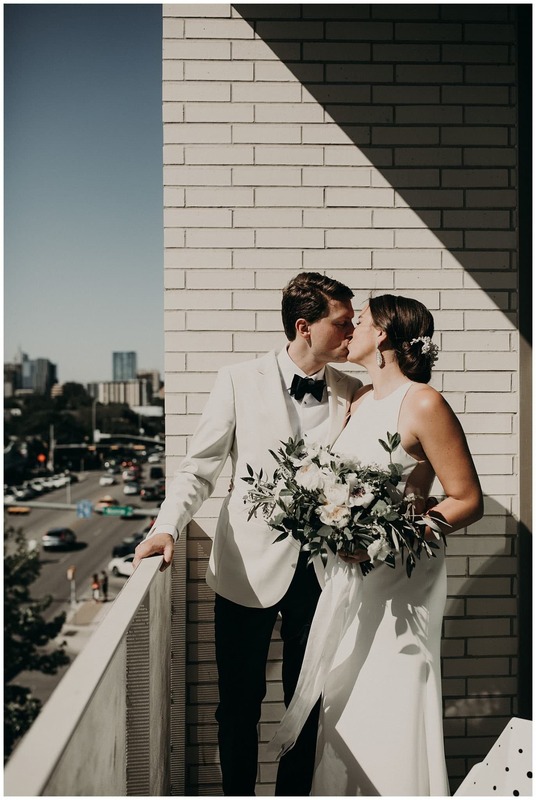 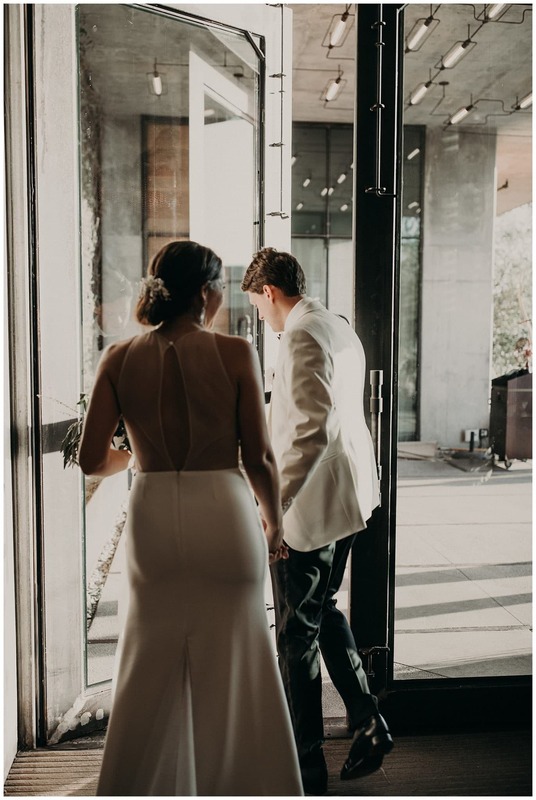 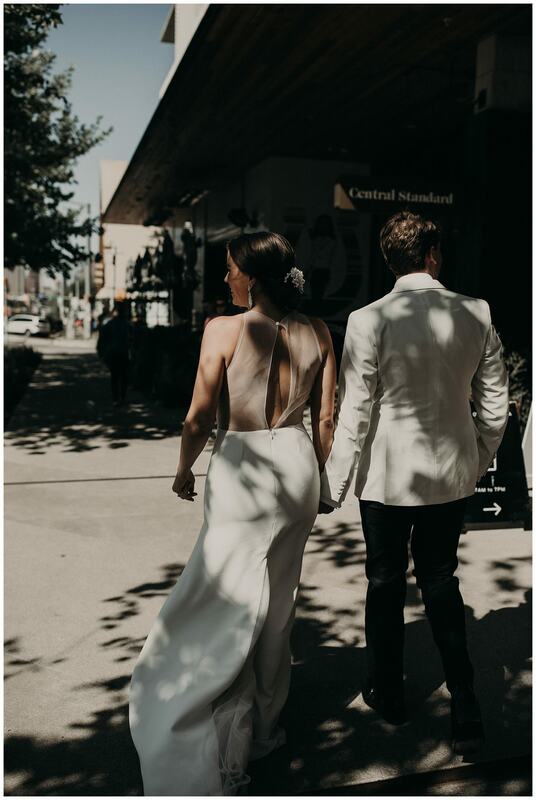 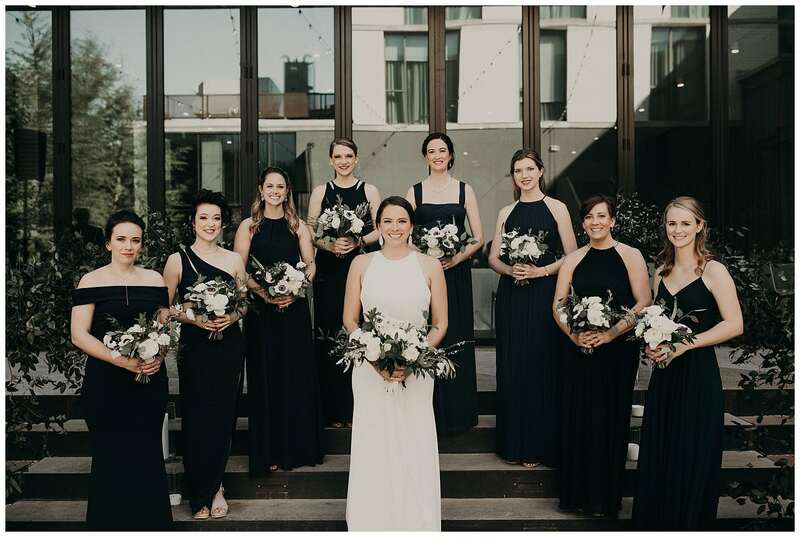 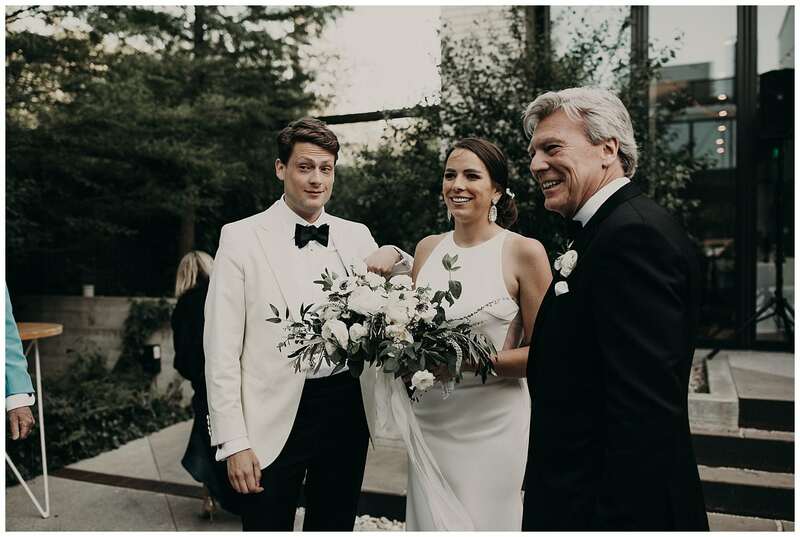 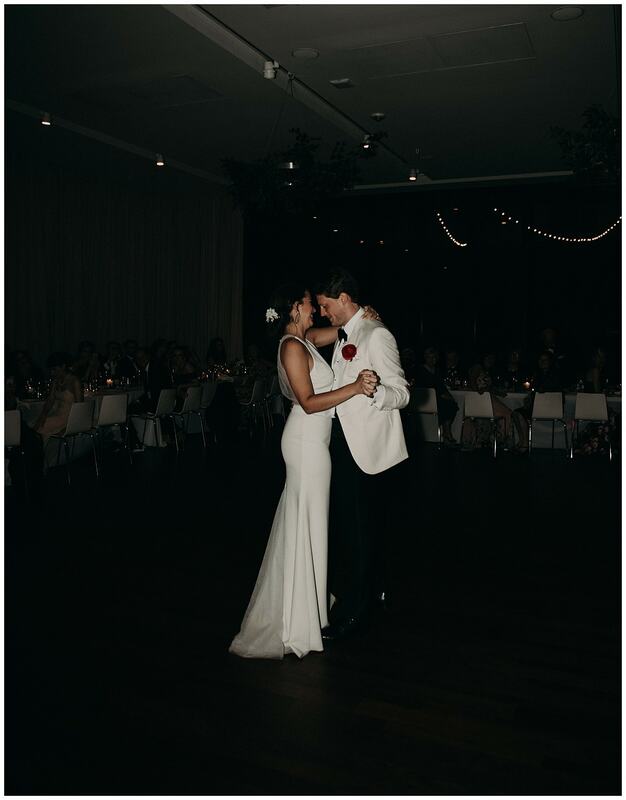 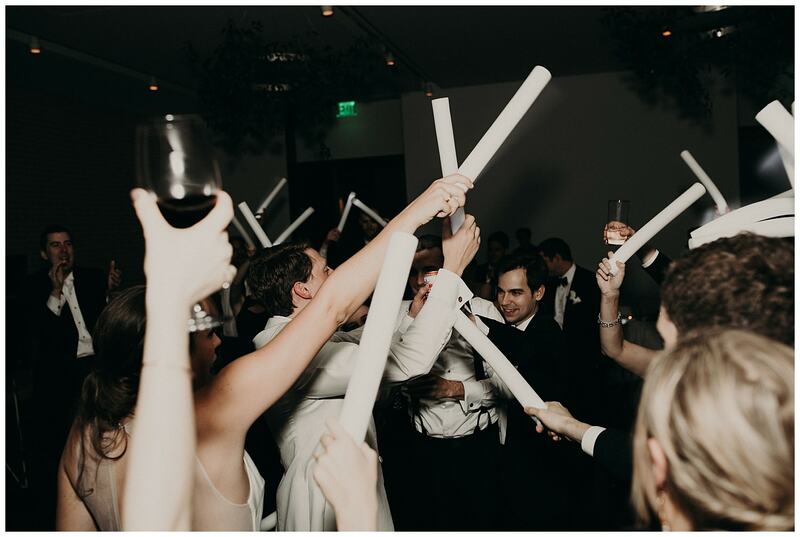 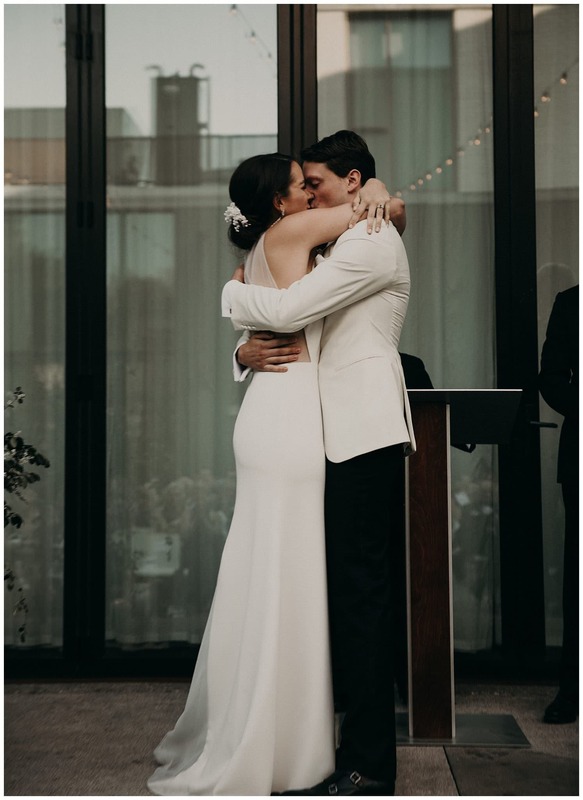 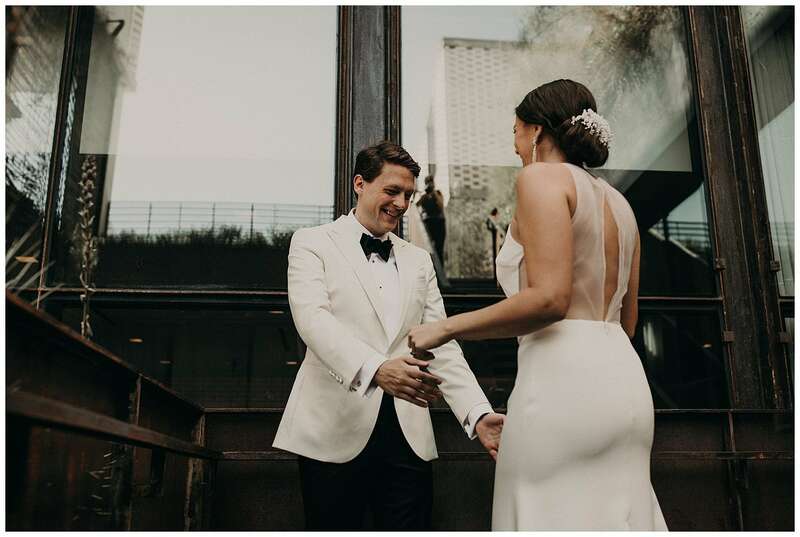 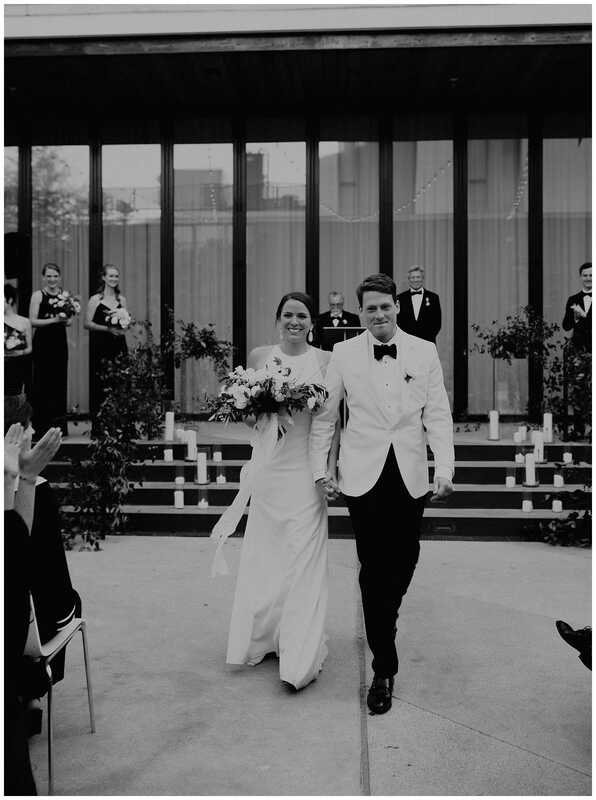 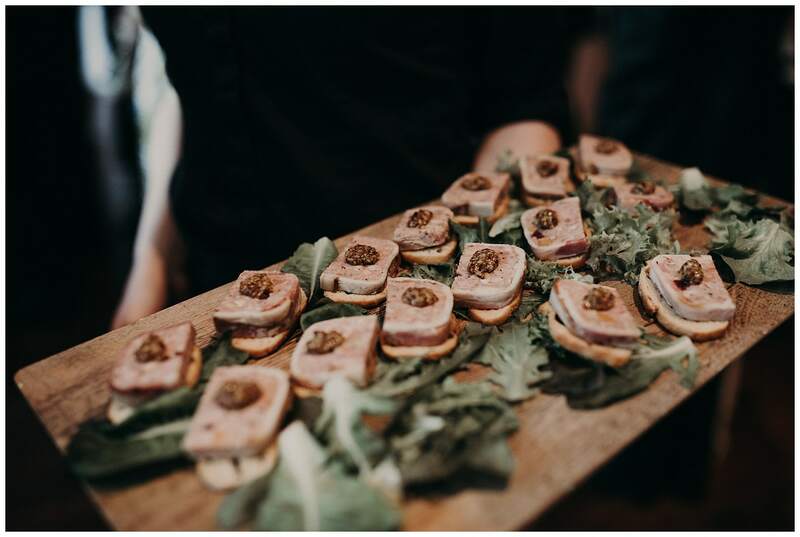 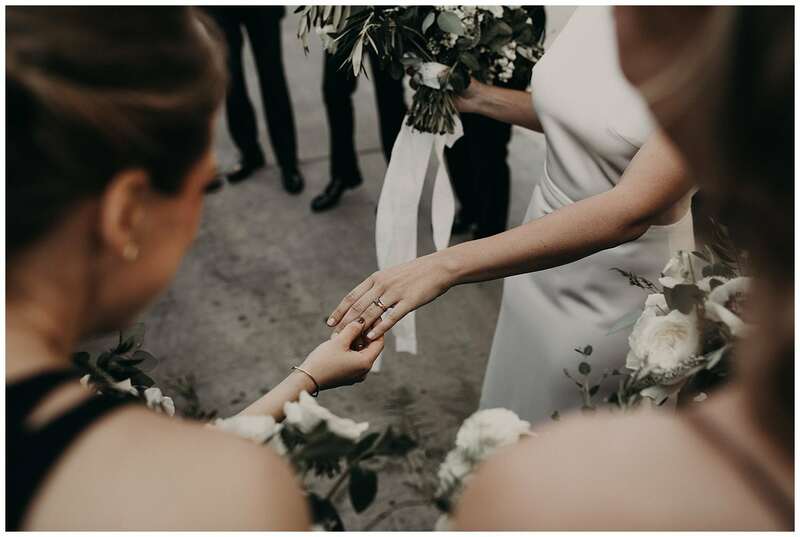 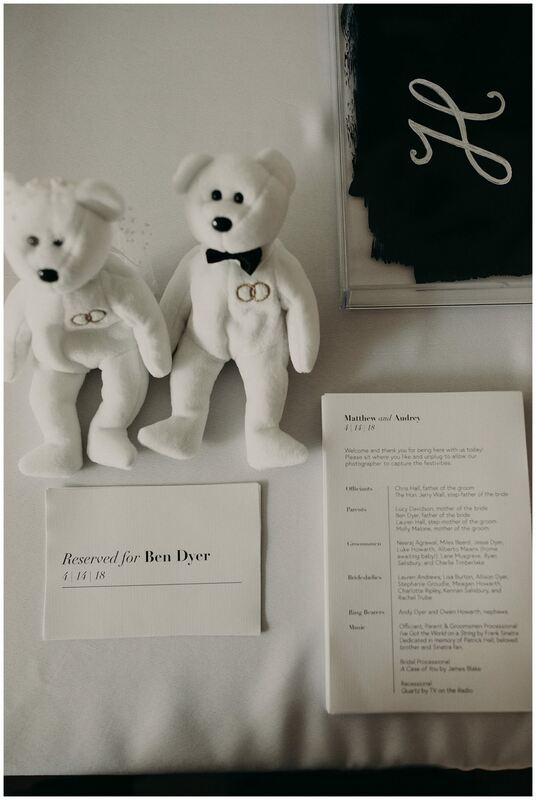 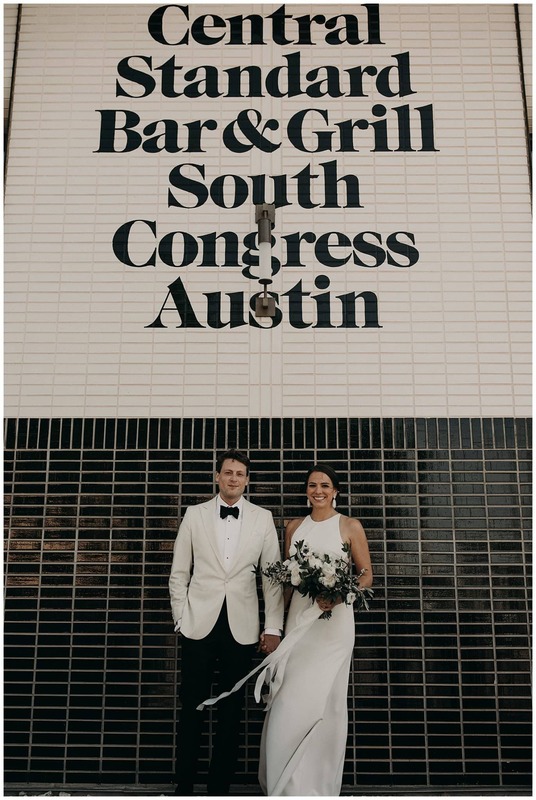 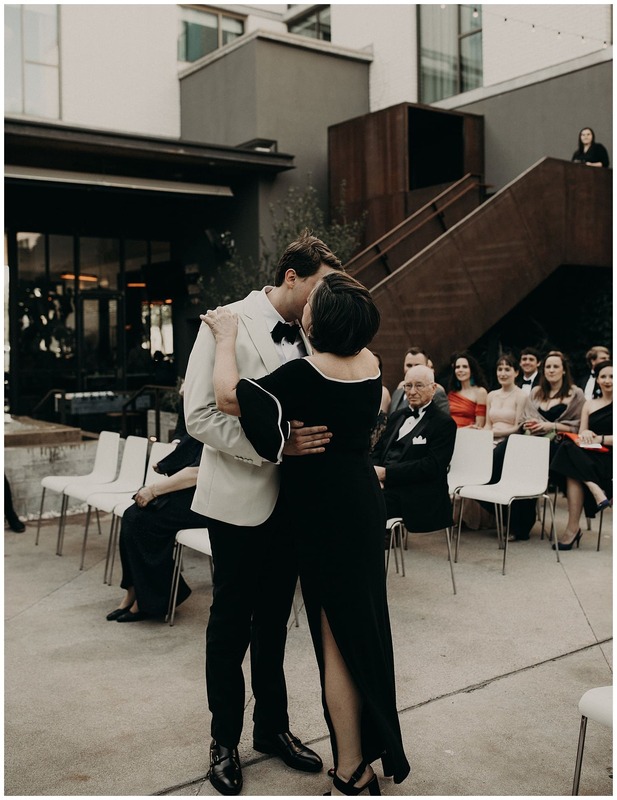 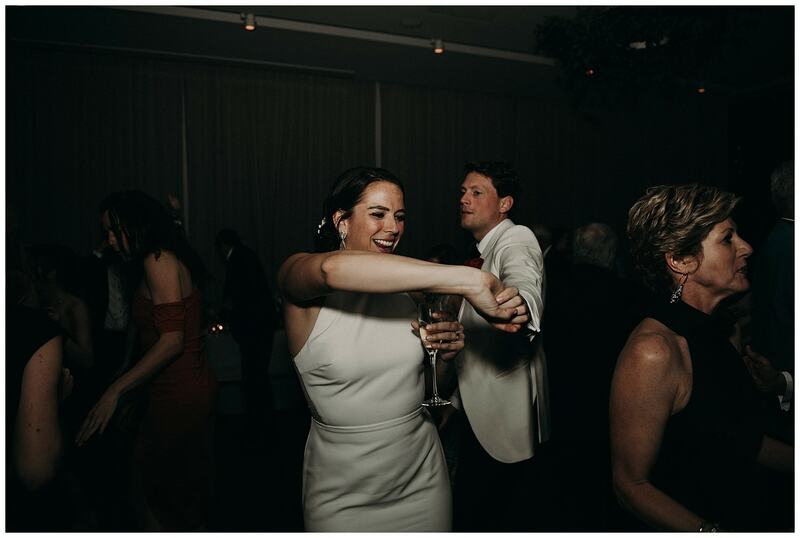 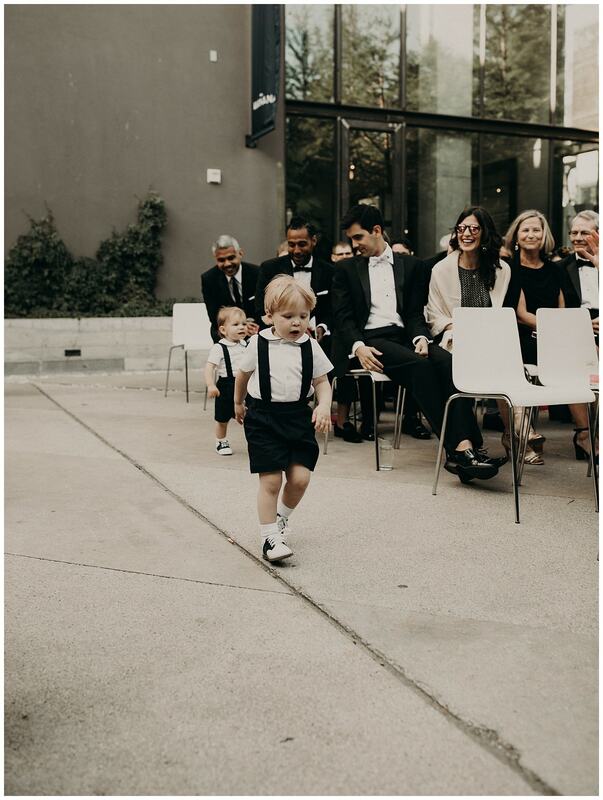 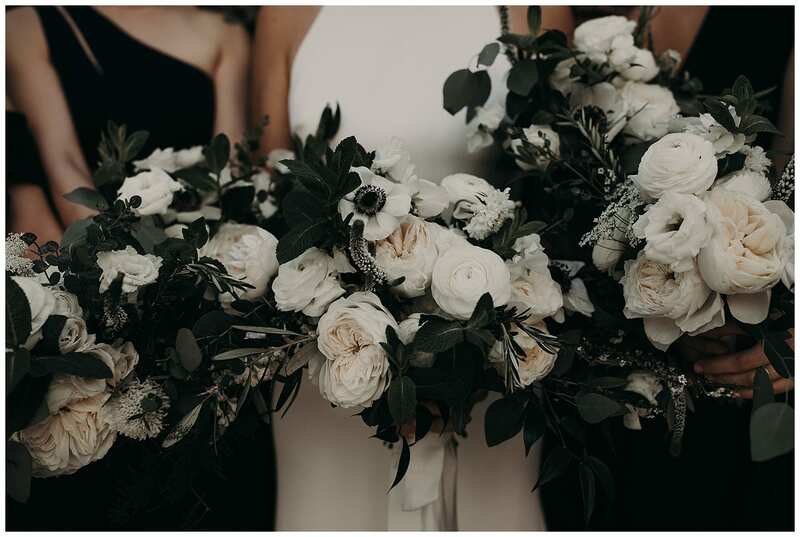 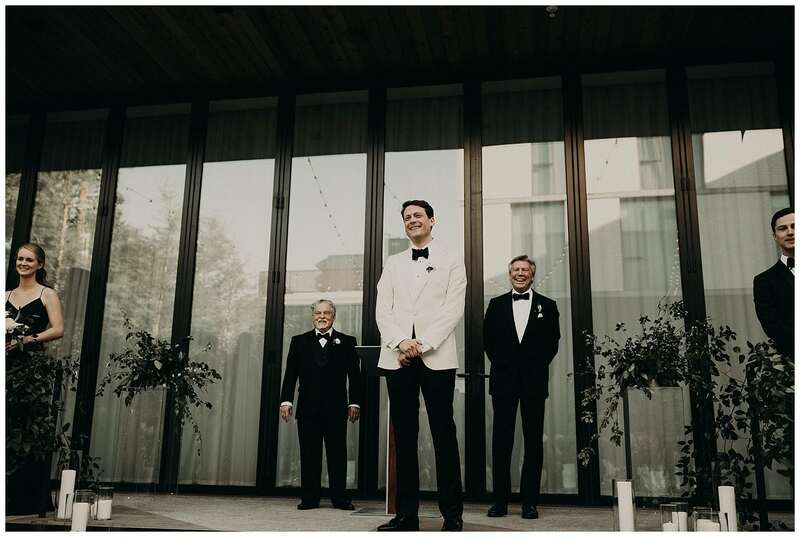 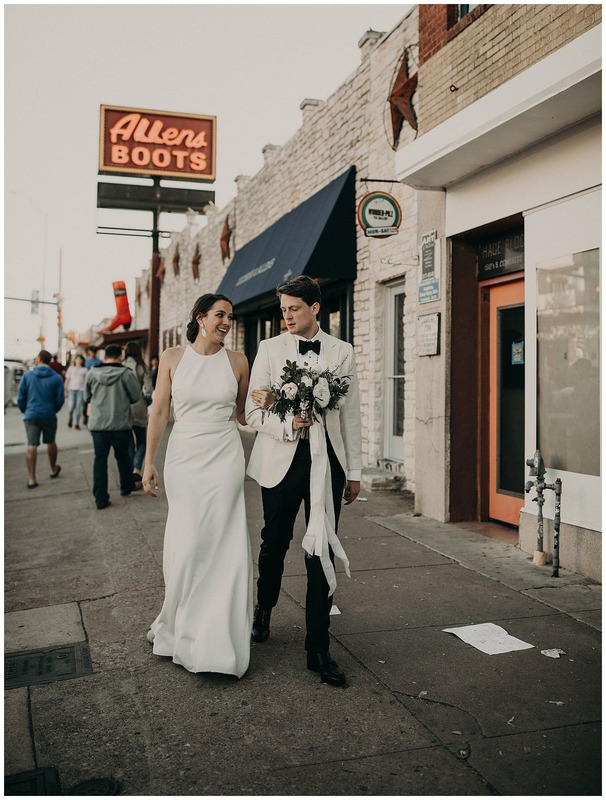 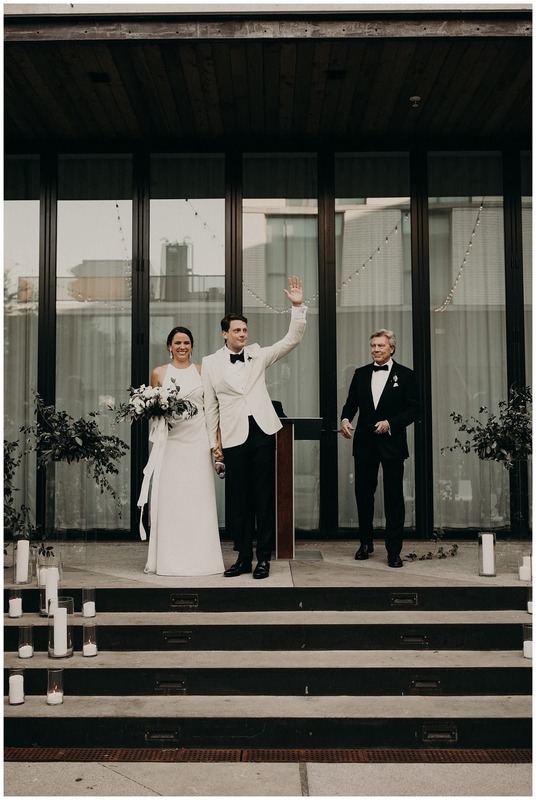 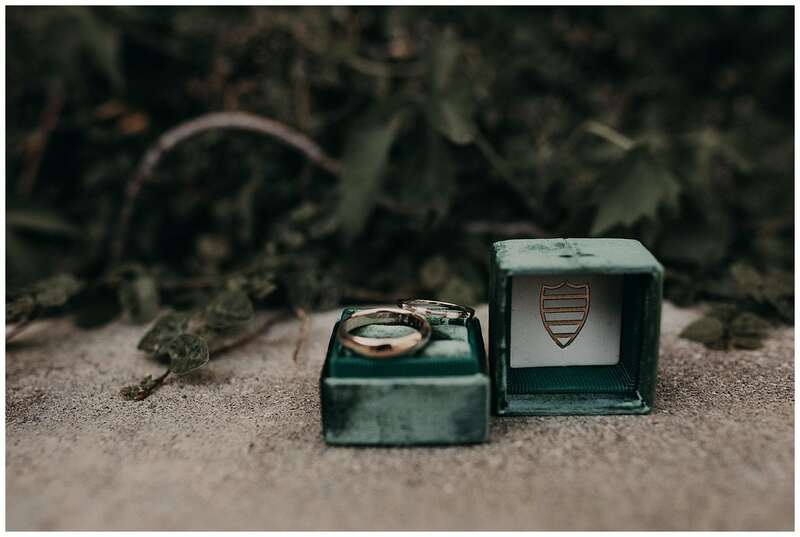 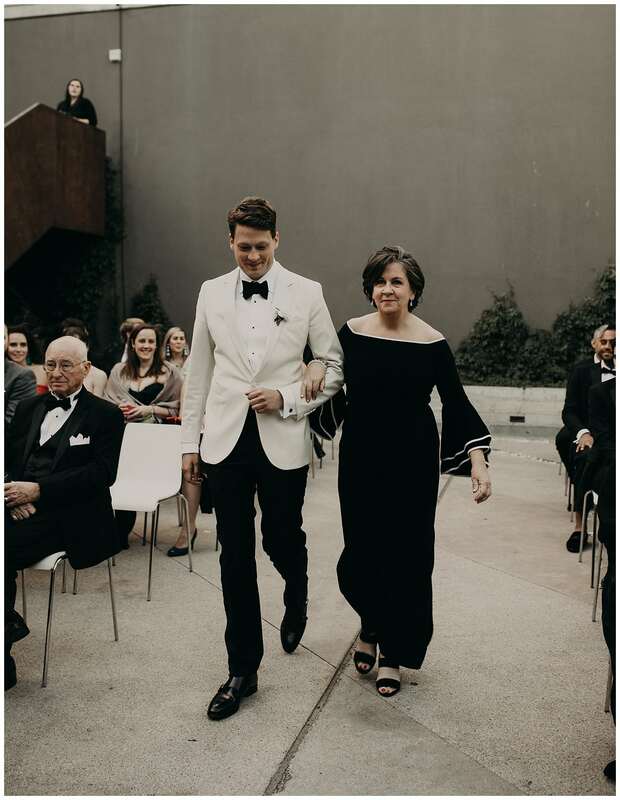 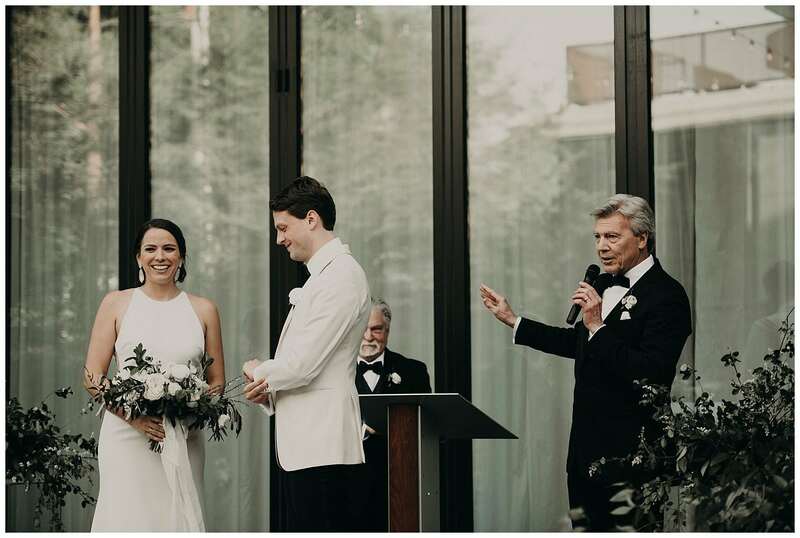 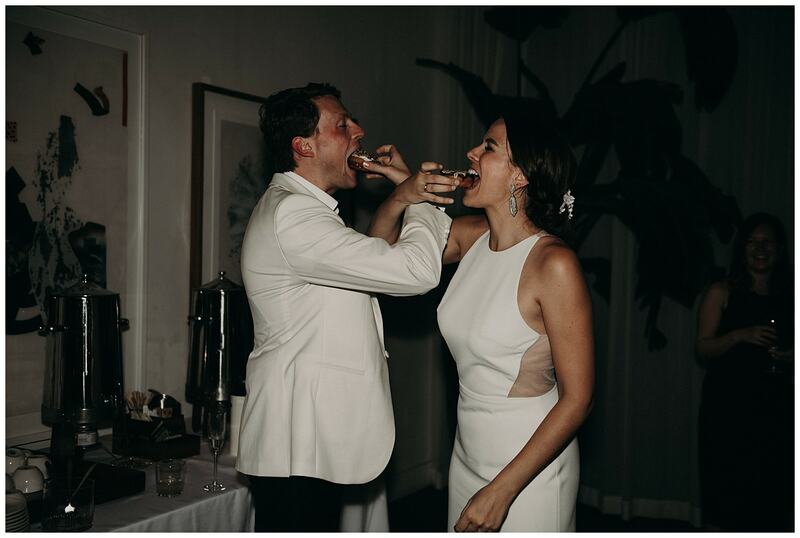 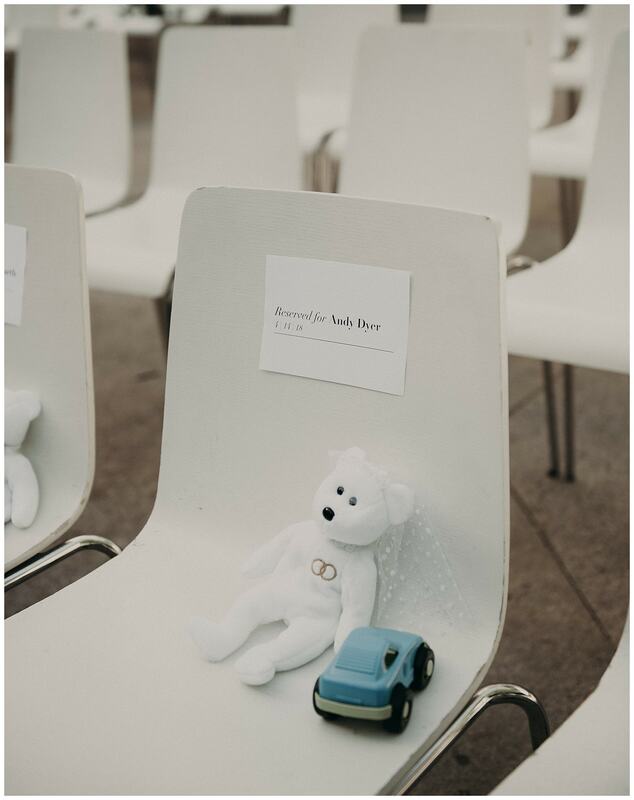 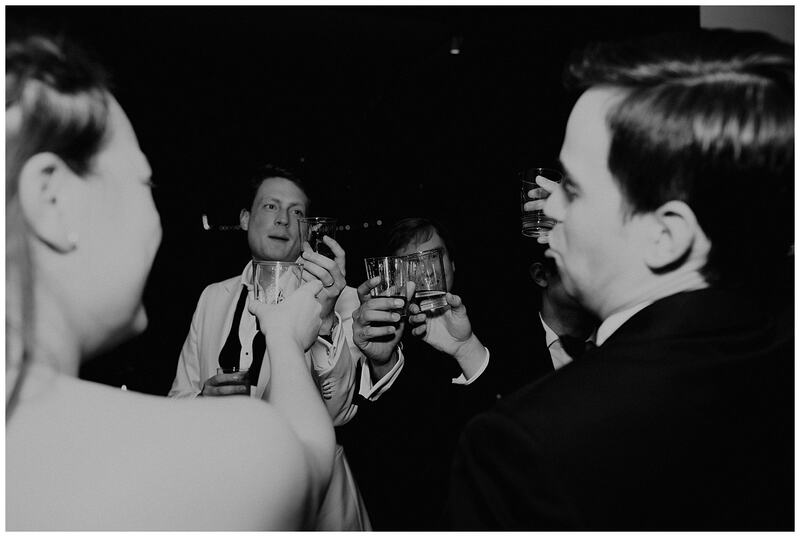 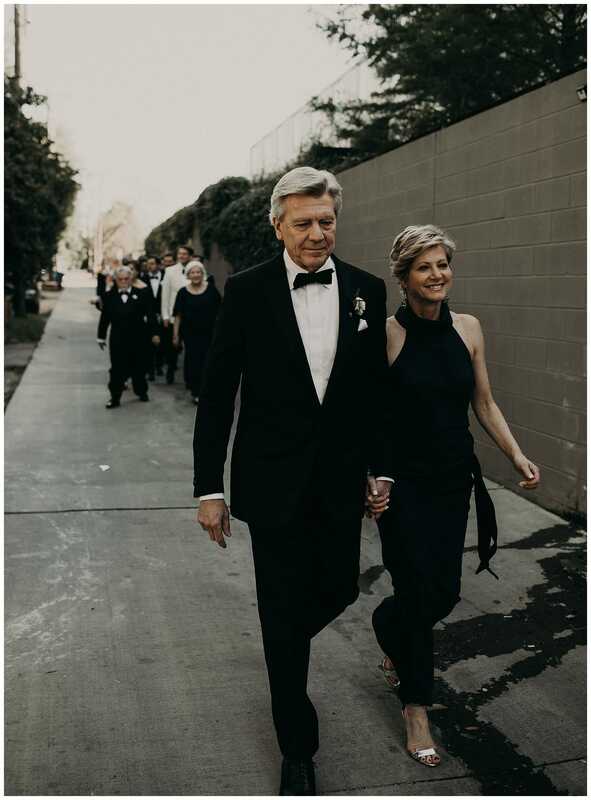 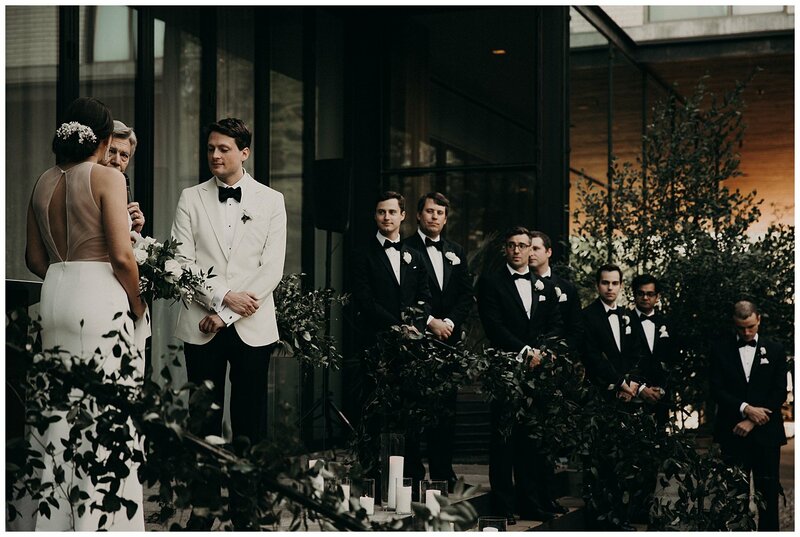 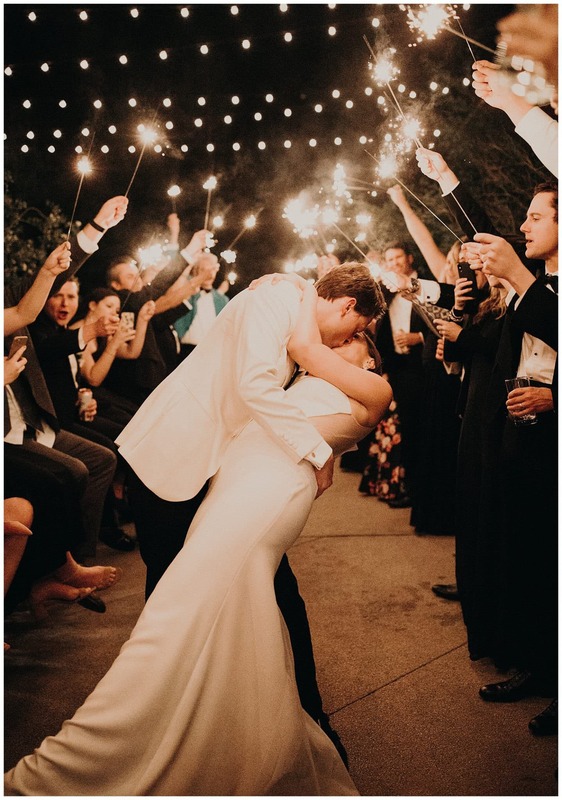 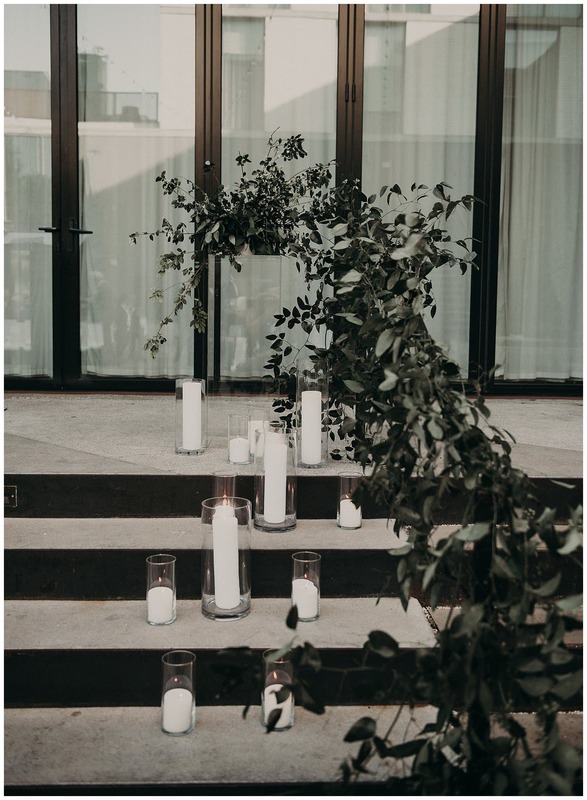 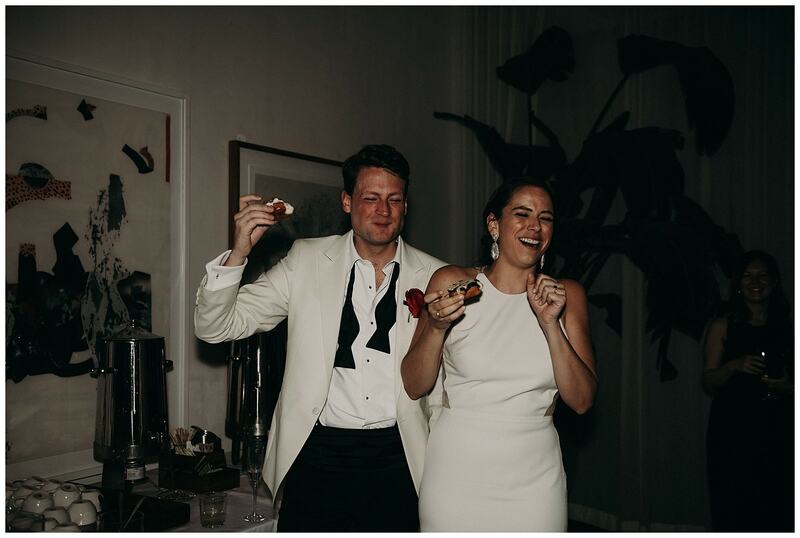 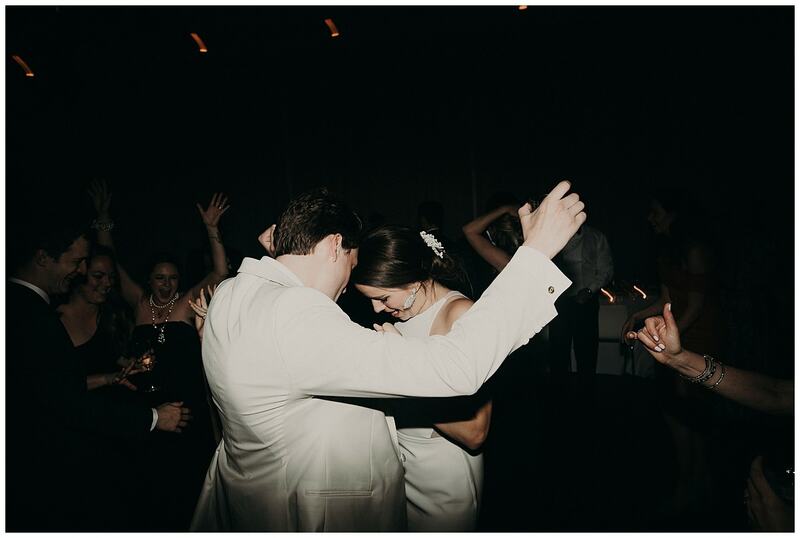 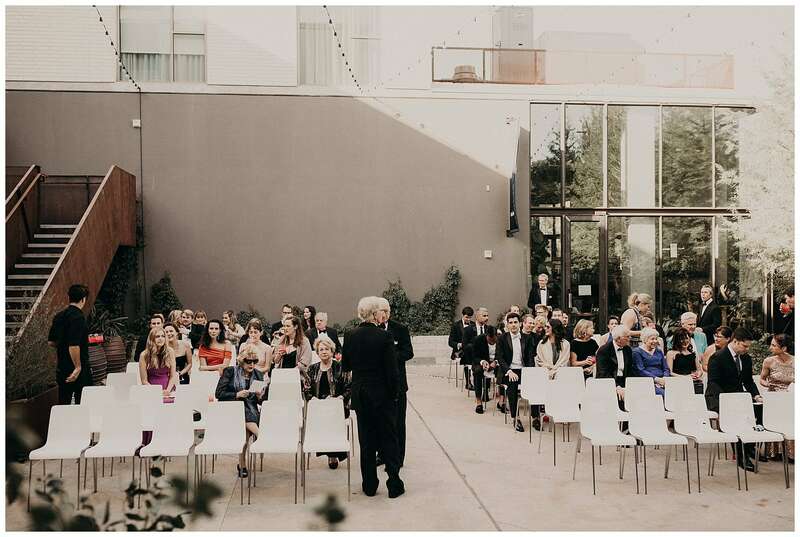 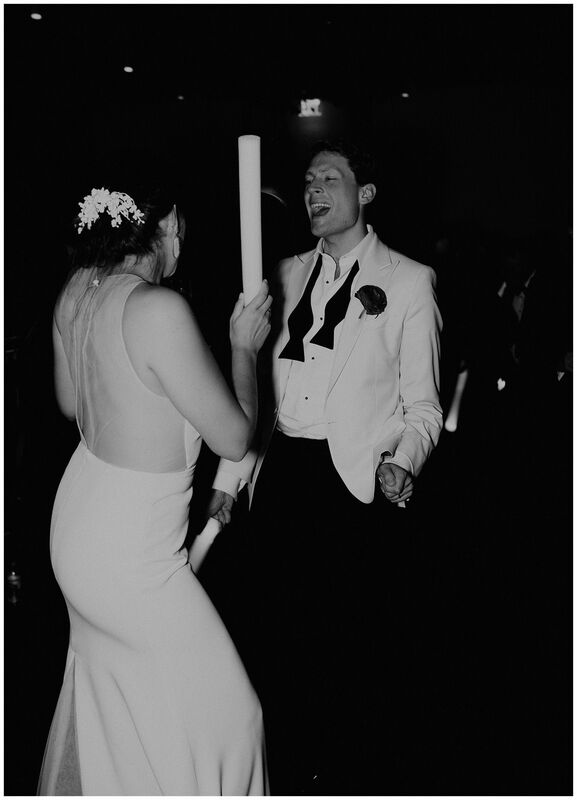 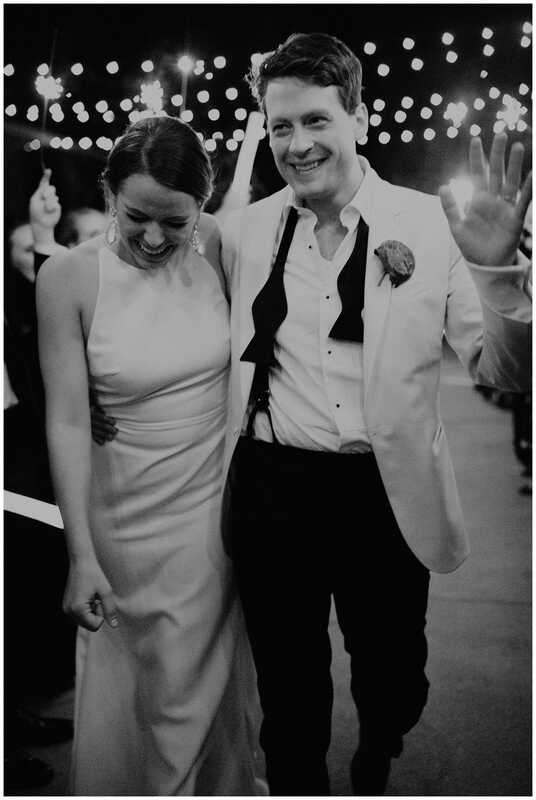 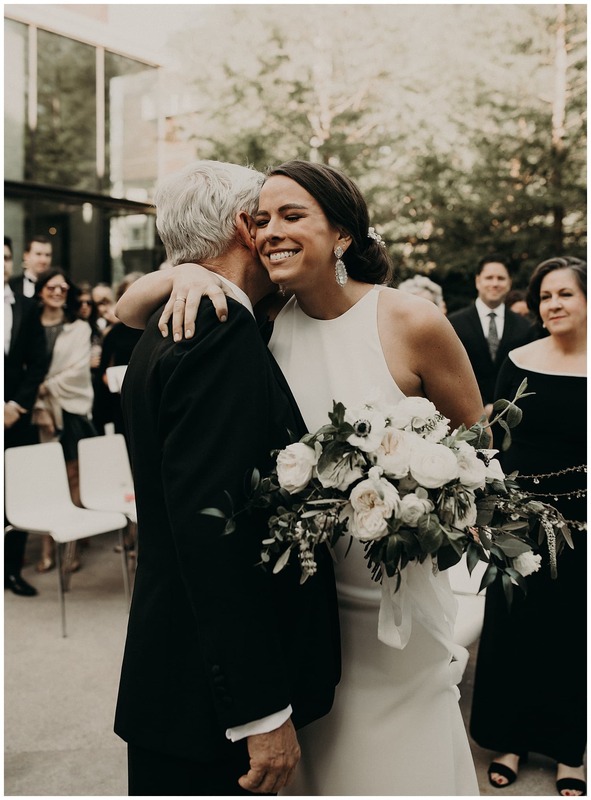 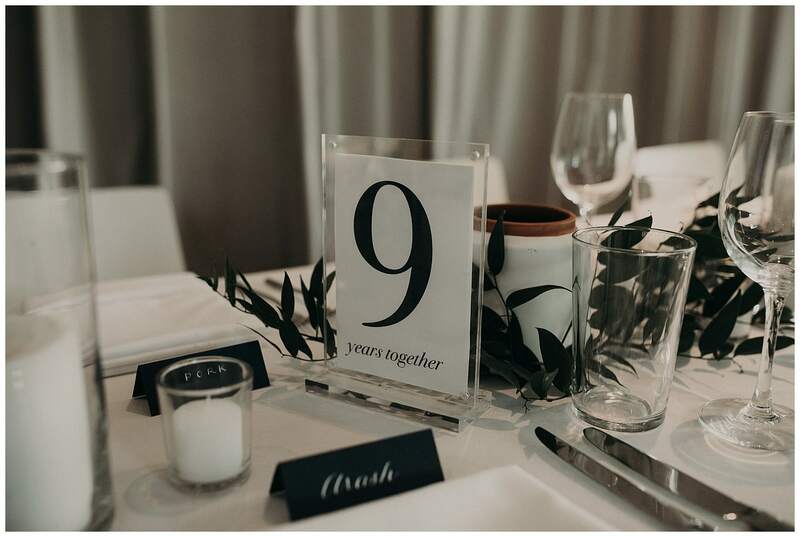 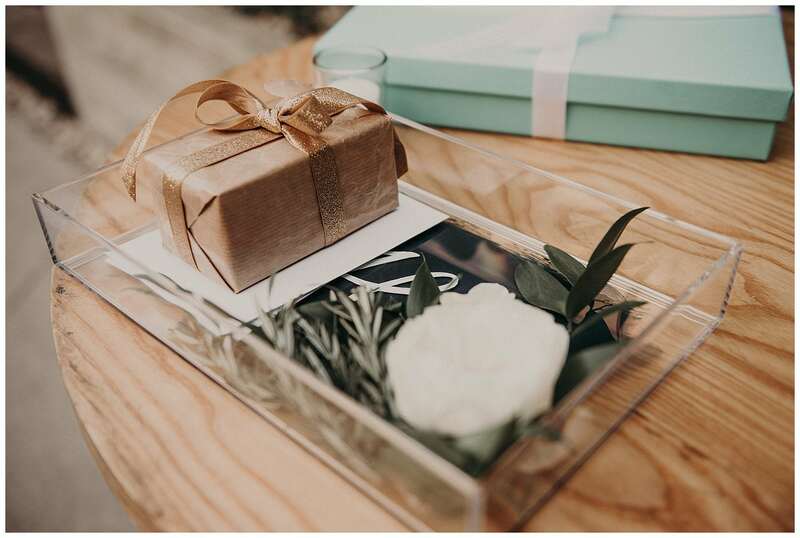 It was a beautiful wedding day at the South Congress Hotel for these two celebrities and it was against the backdrop of modern-elegance and wild celebration that these two shined bright on their special day!